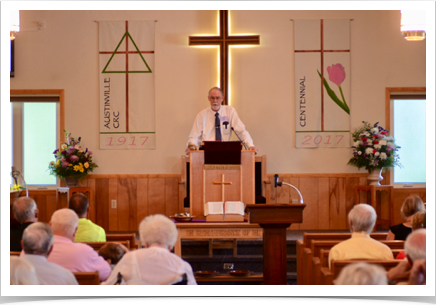 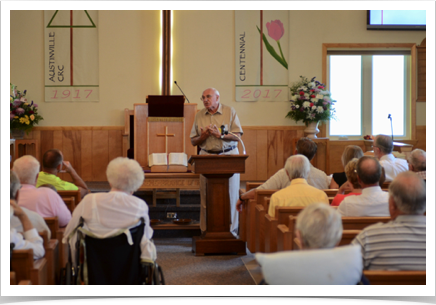 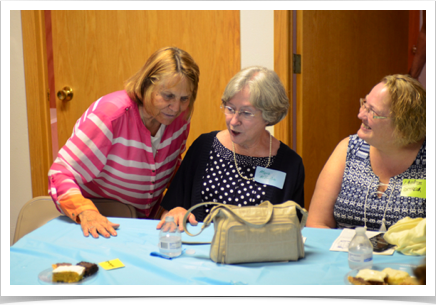 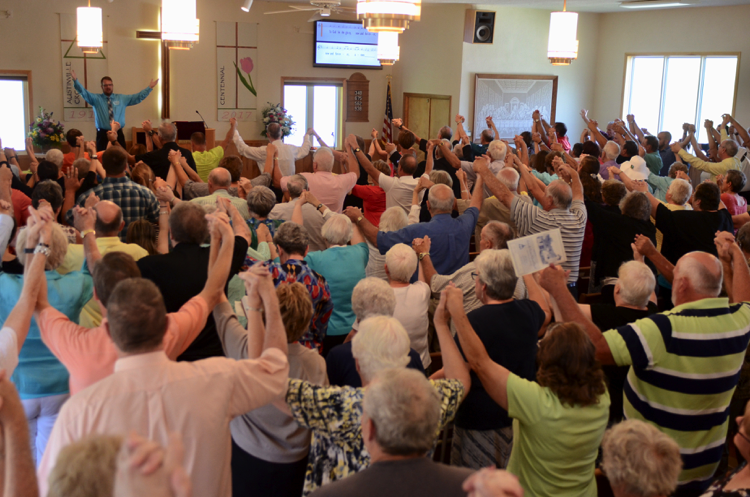 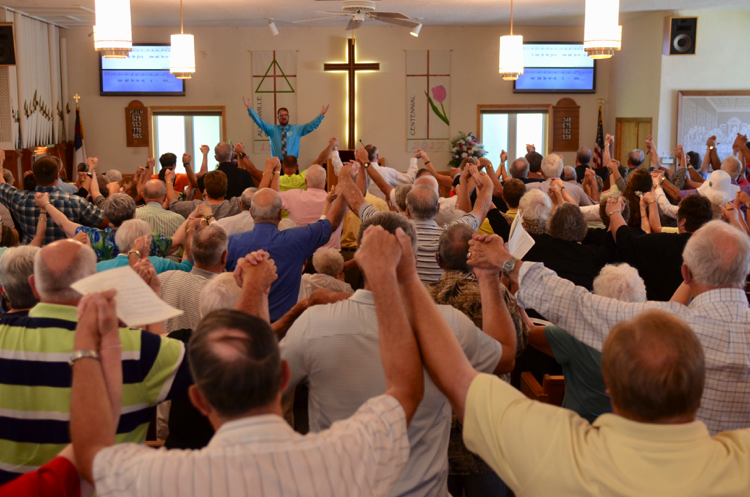 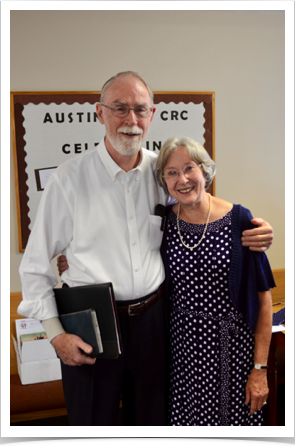 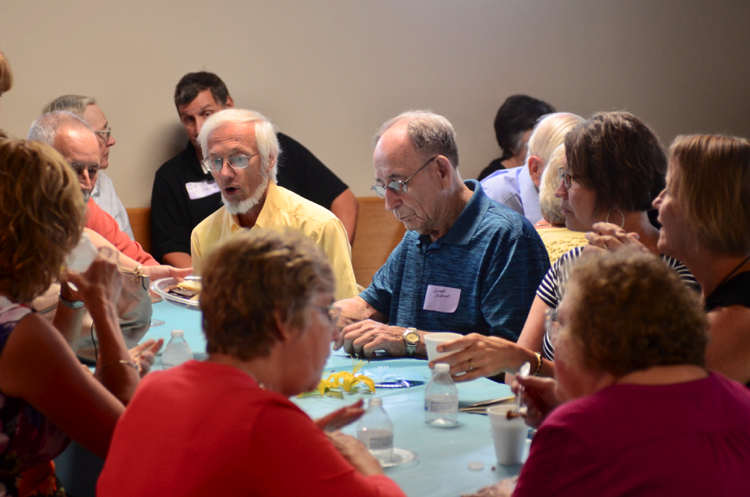 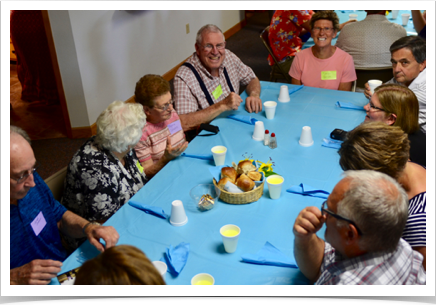 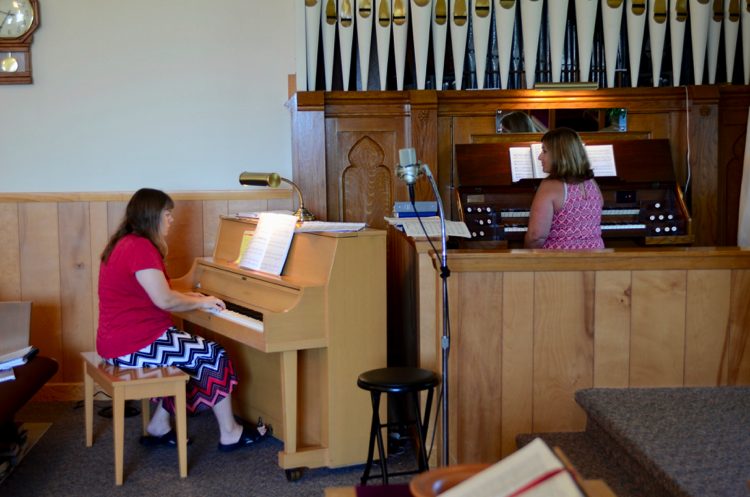 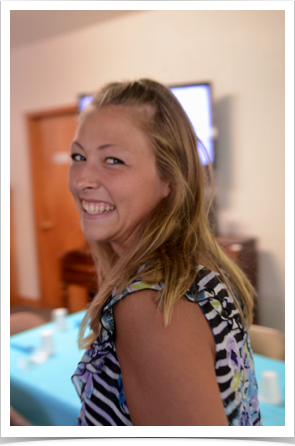 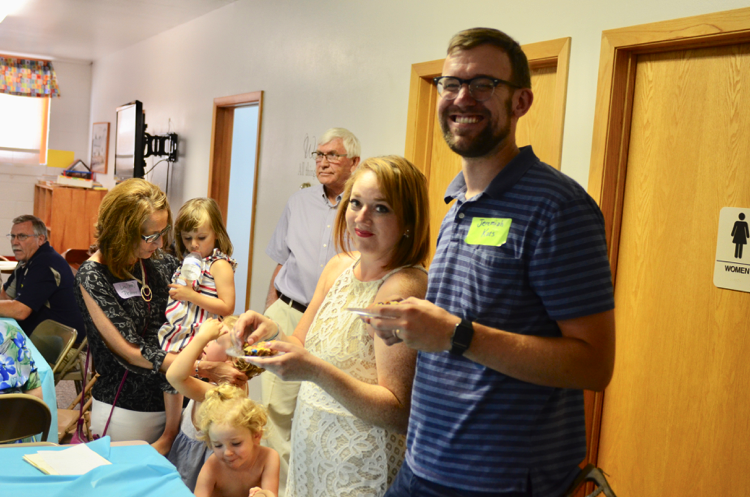 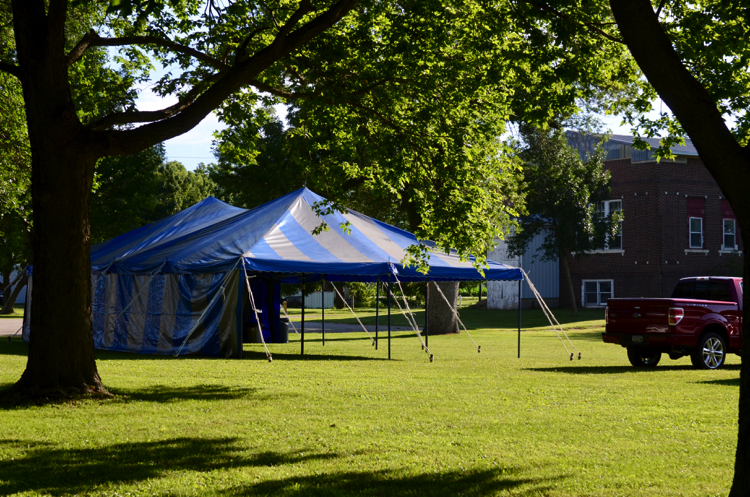 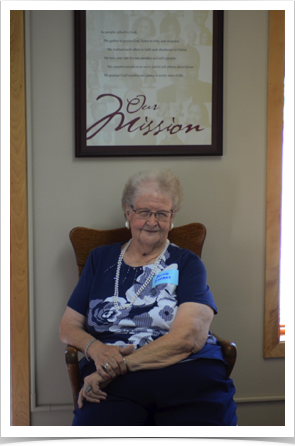 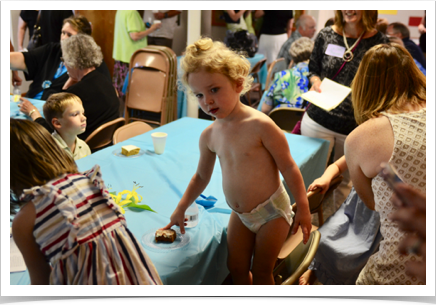 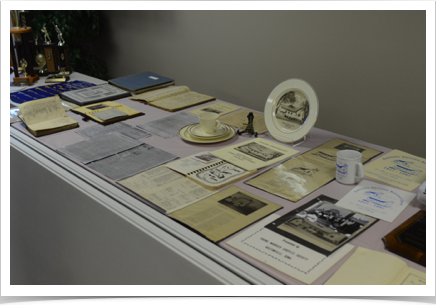 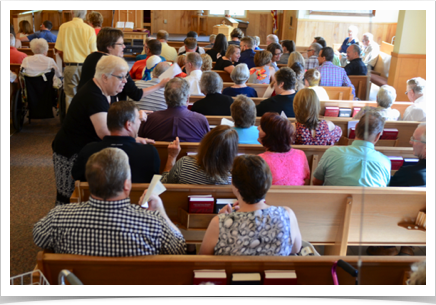 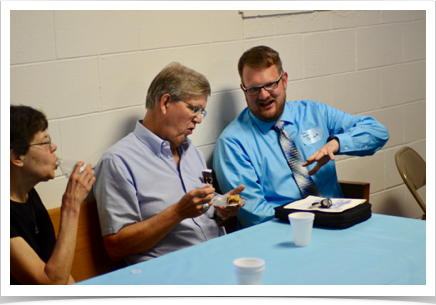 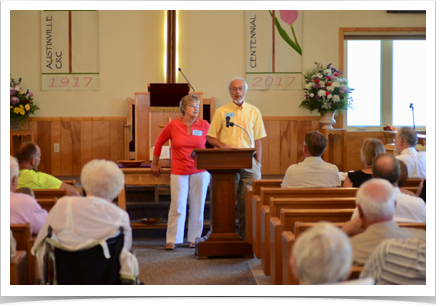 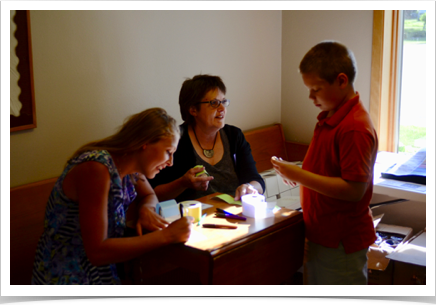 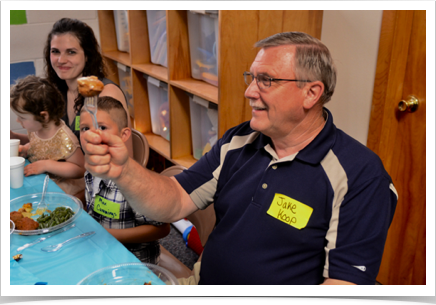 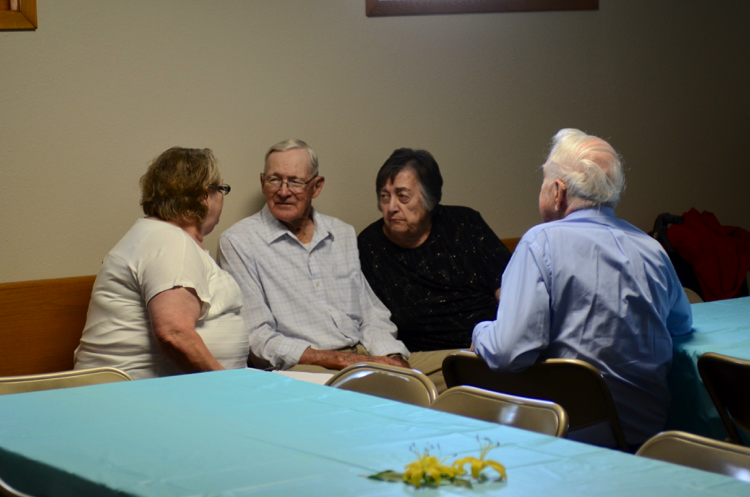 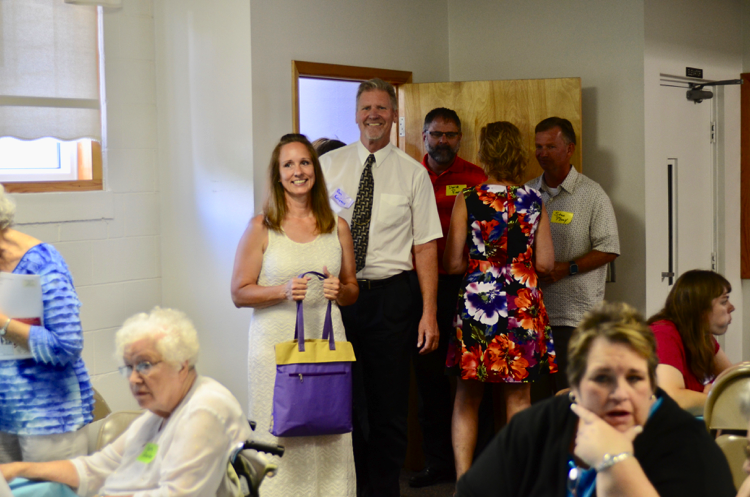 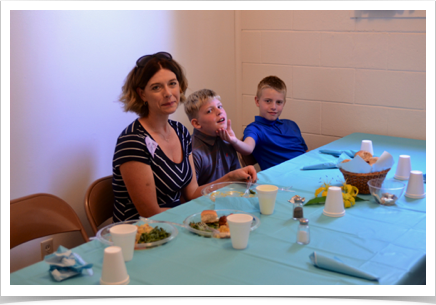 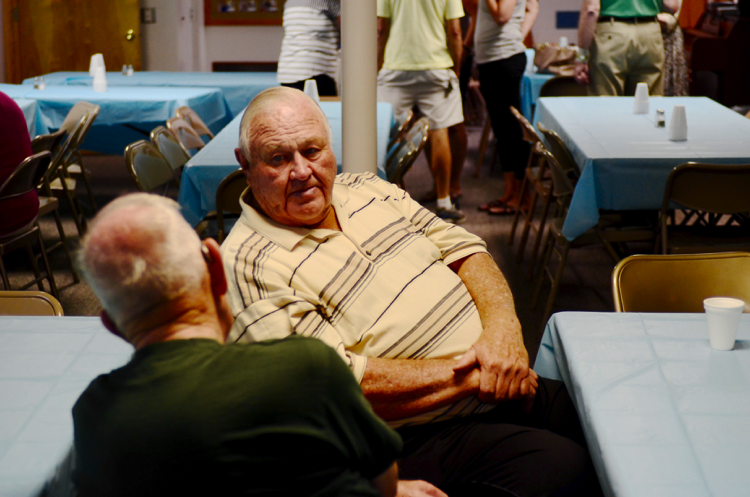 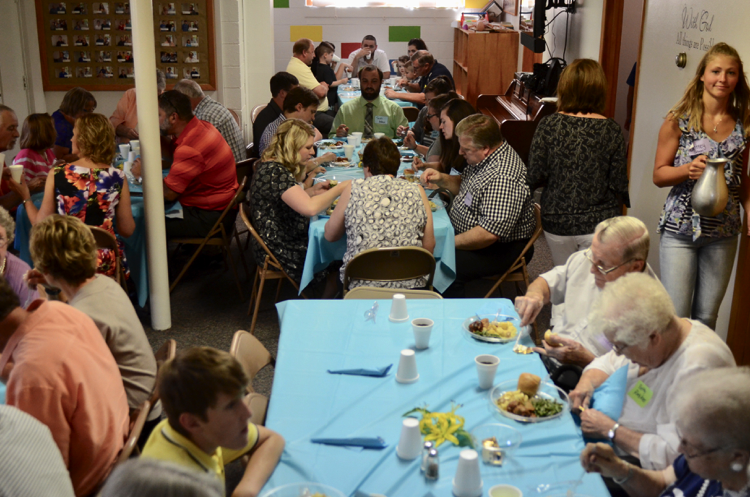 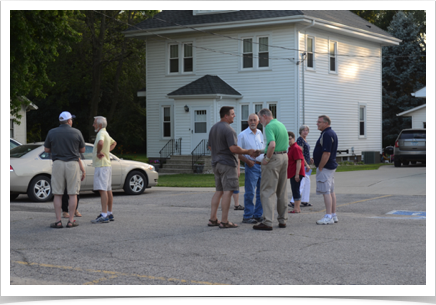 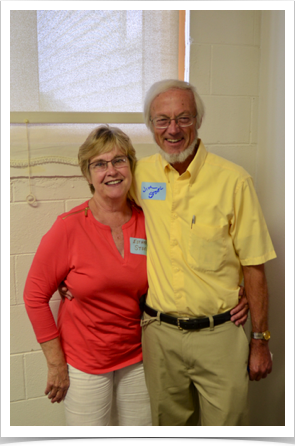 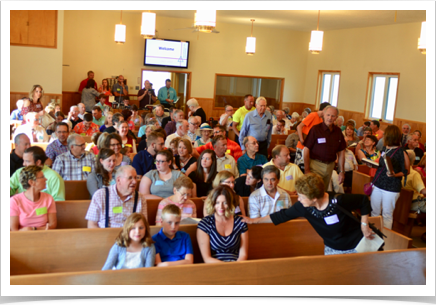 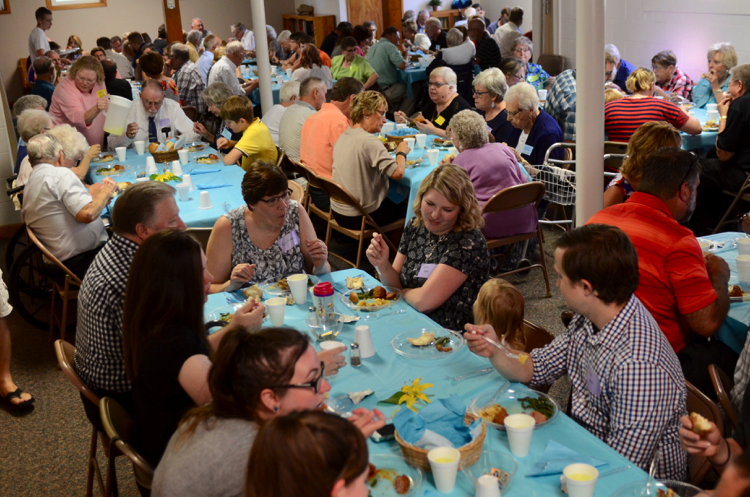 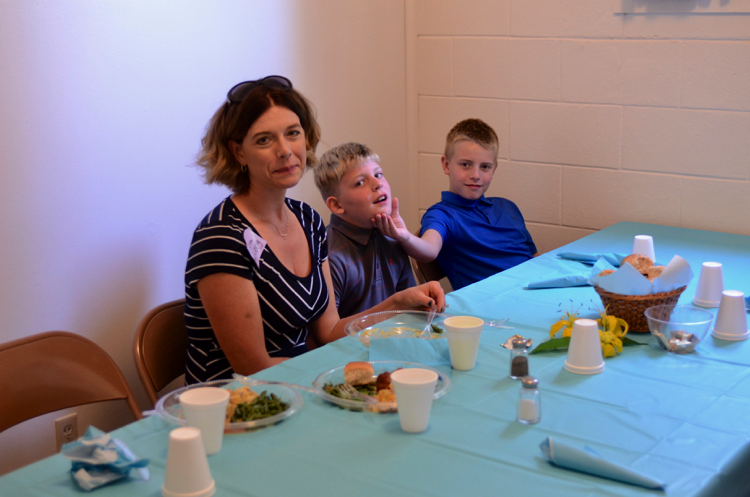 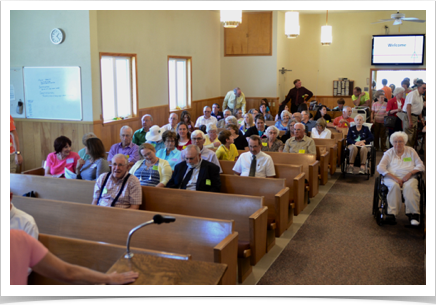 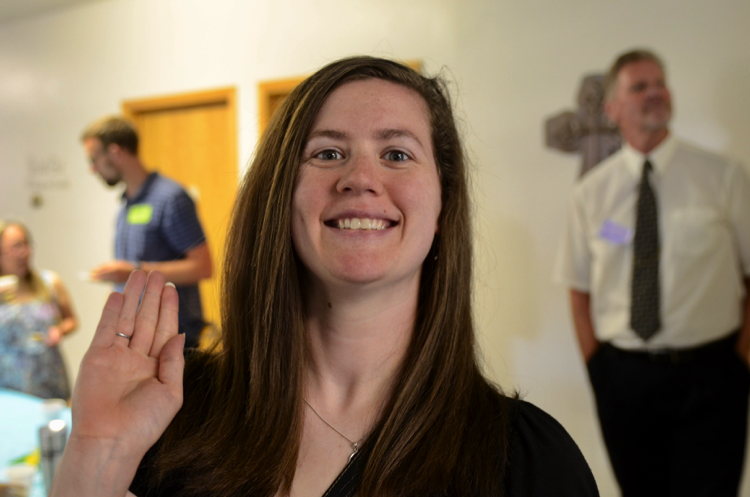 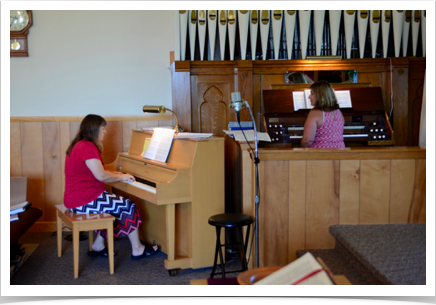 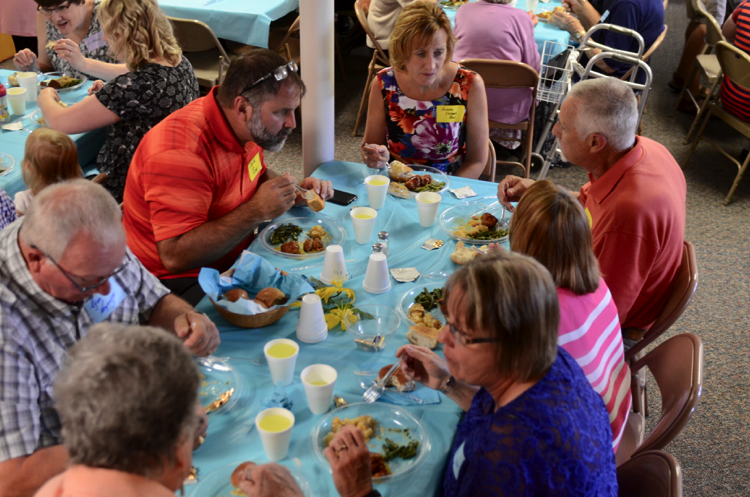 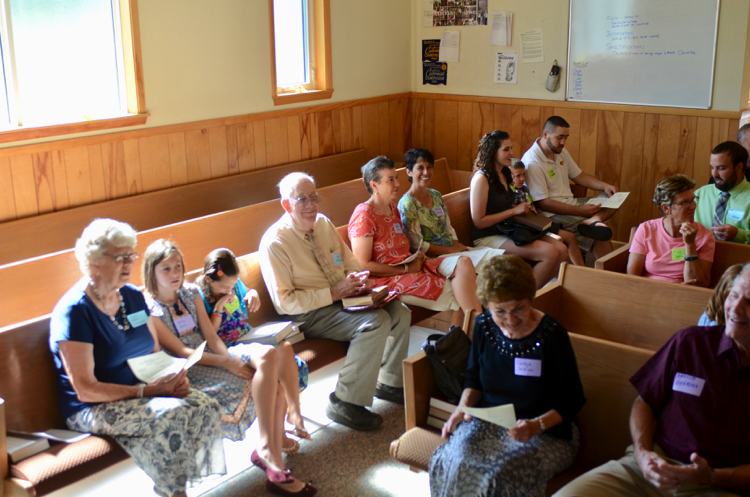 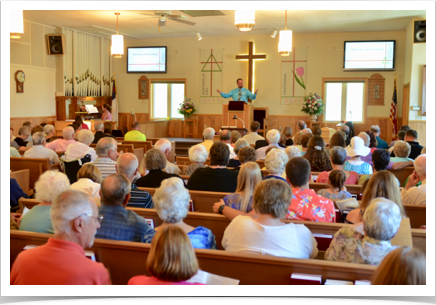 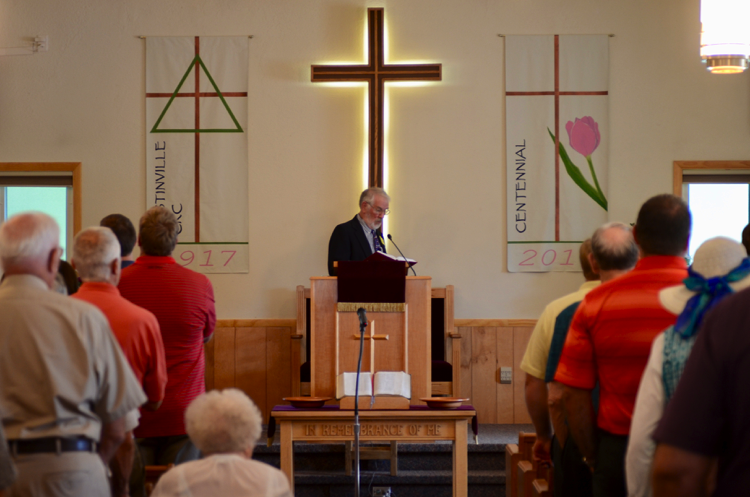 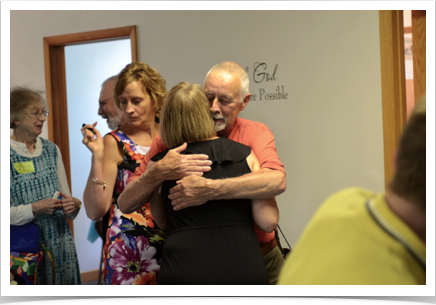 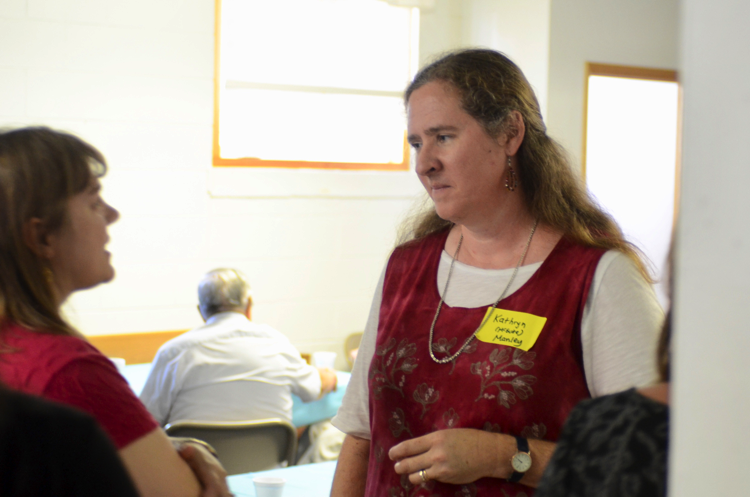 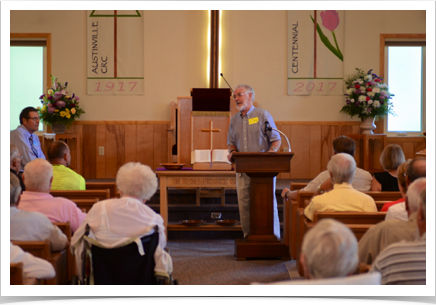 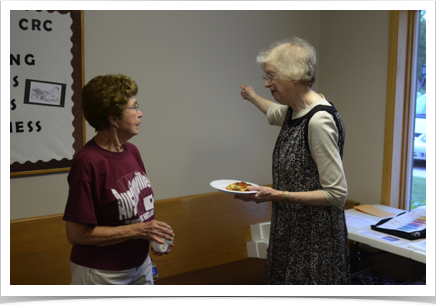 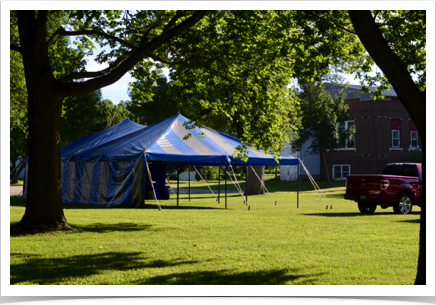 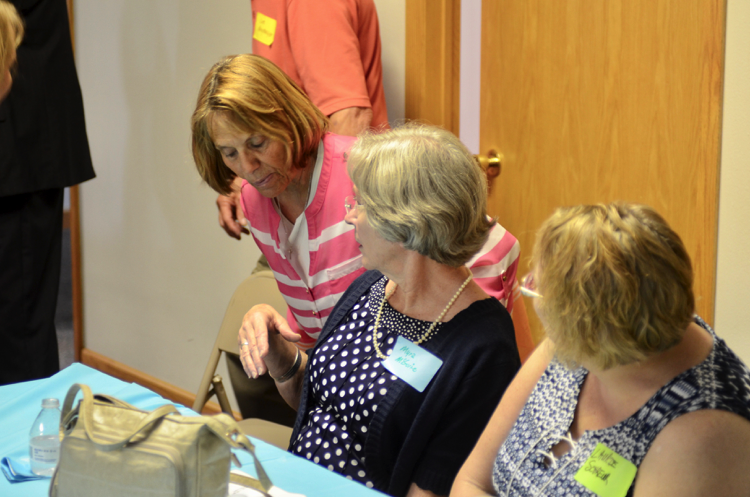 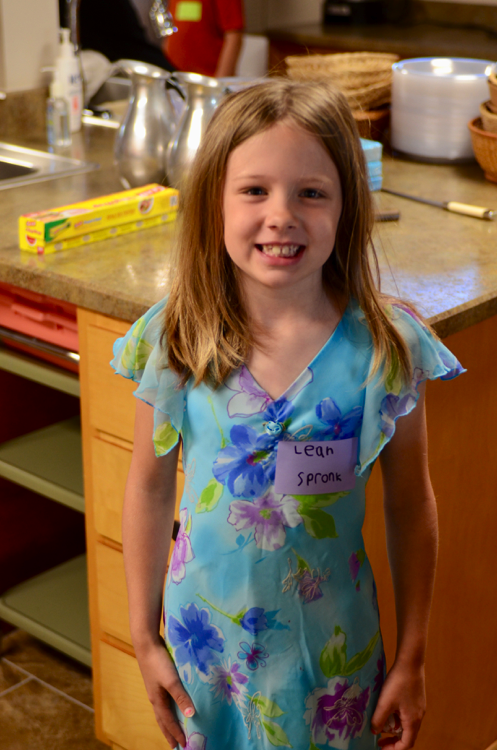 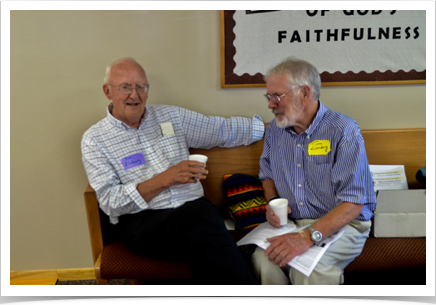 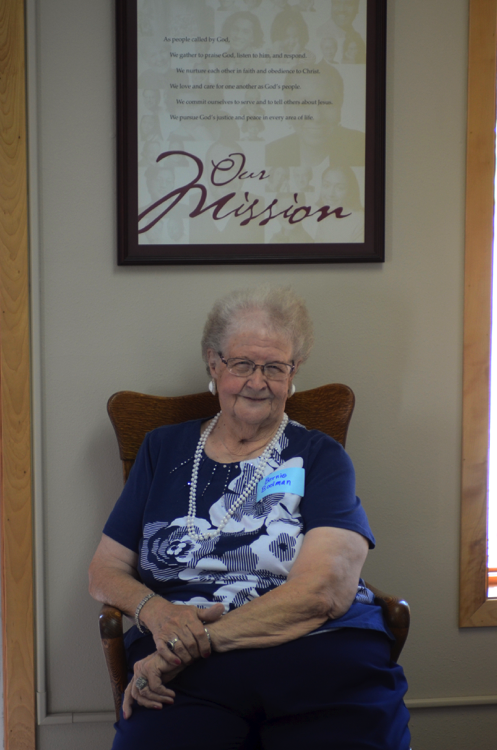 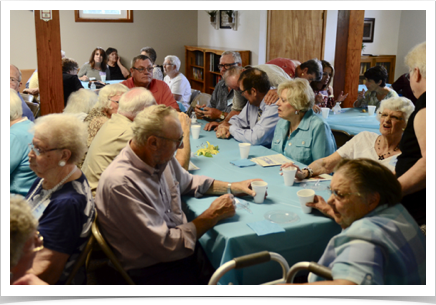 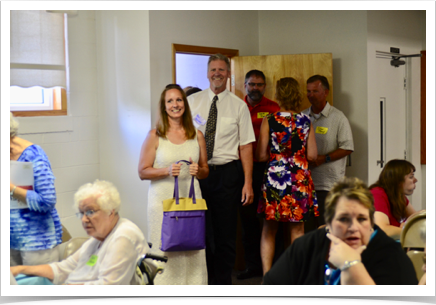 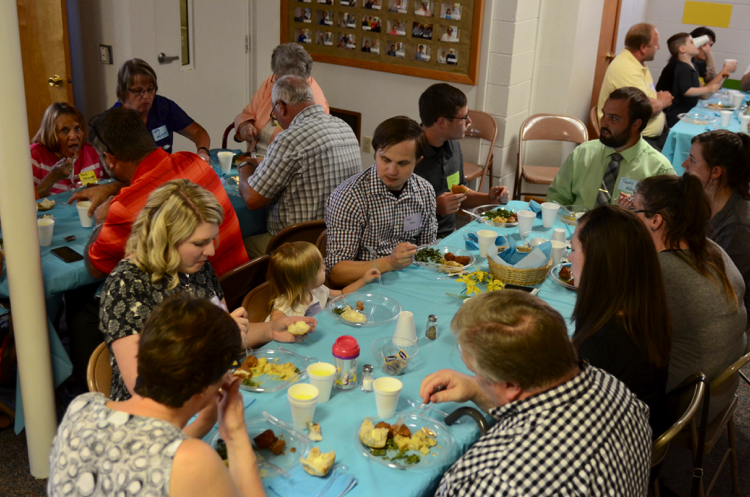 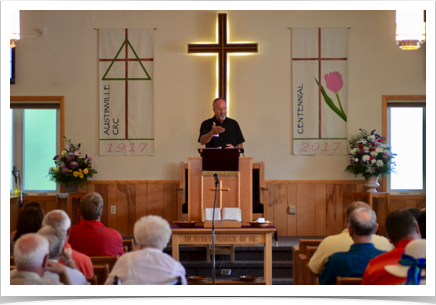 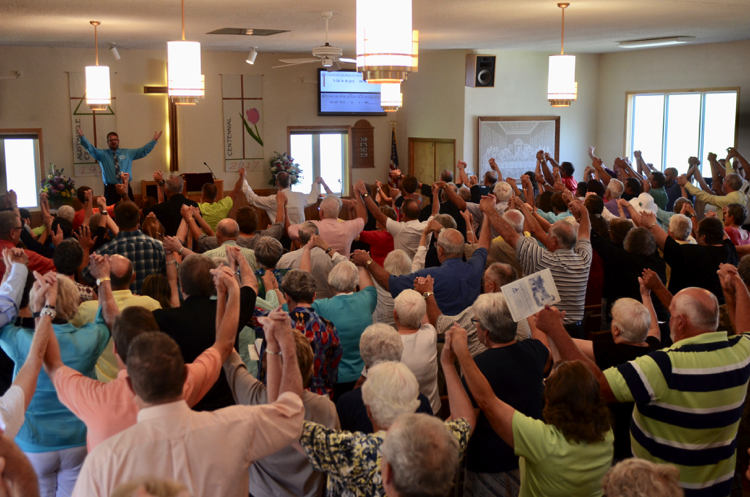 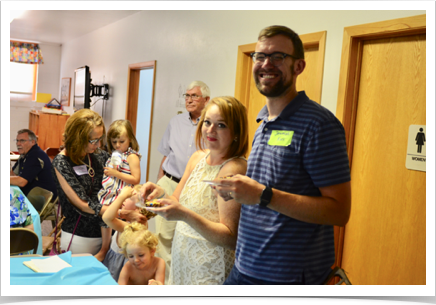 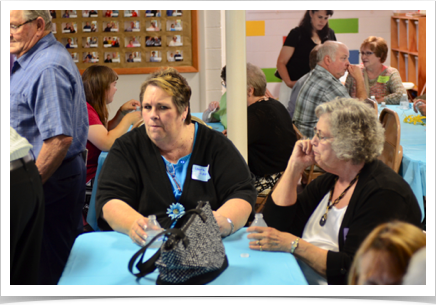 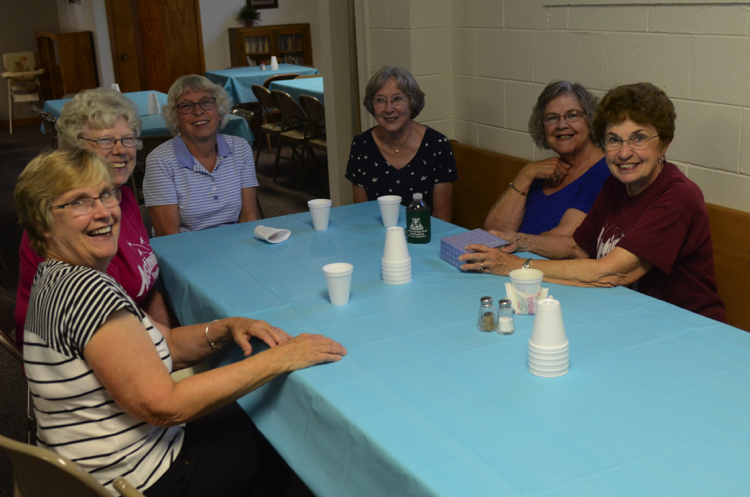 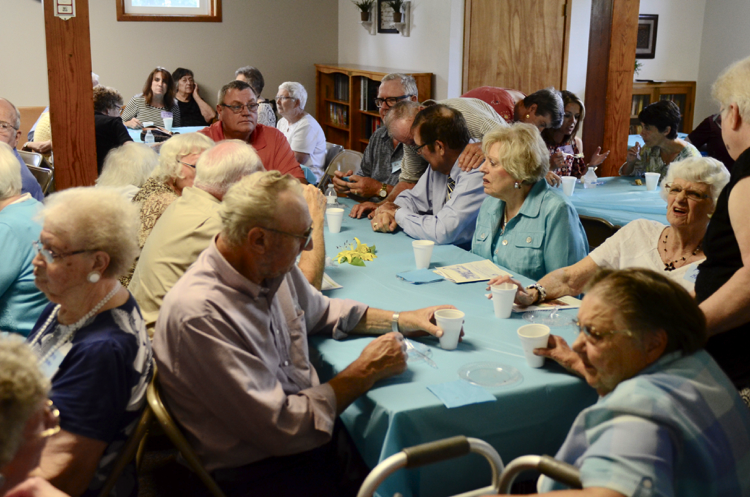 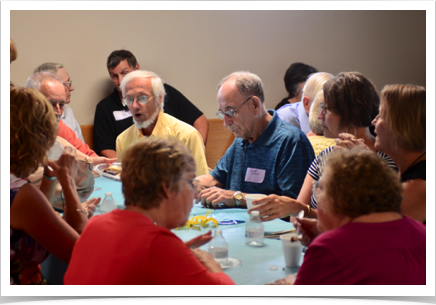 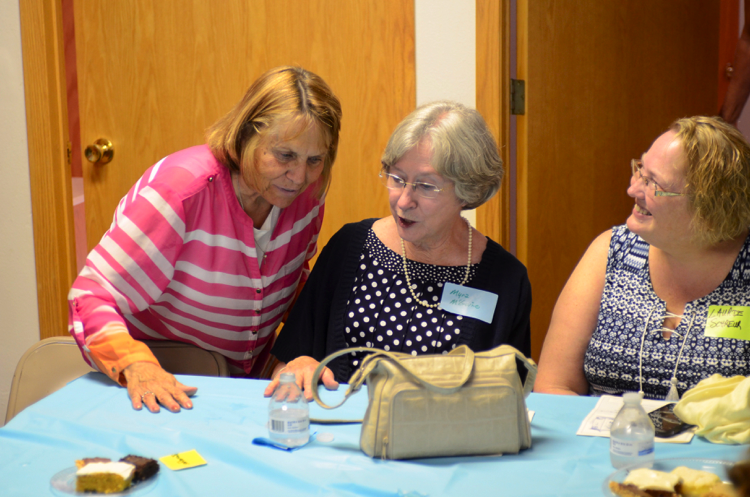 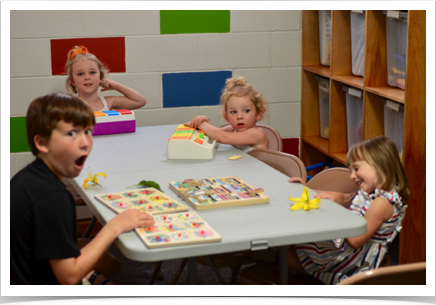 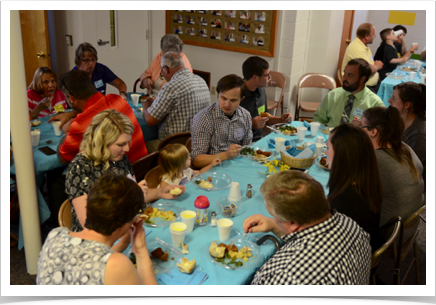 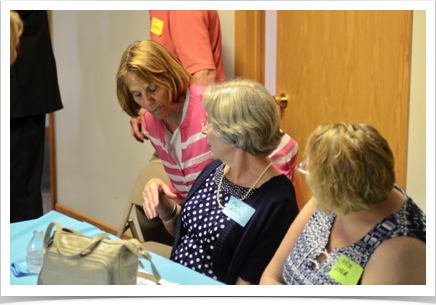 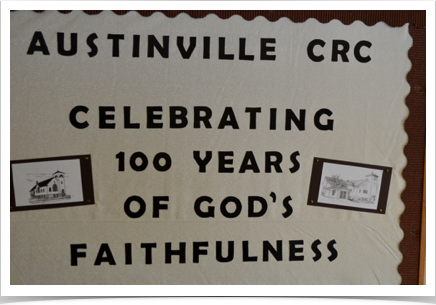 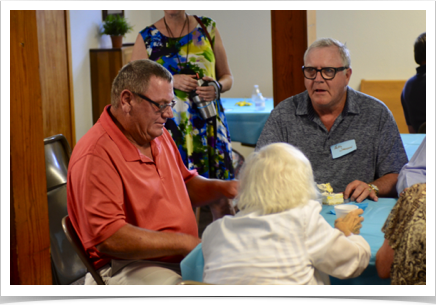 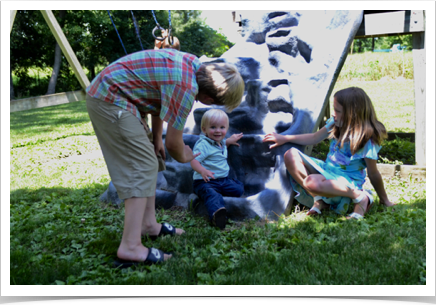 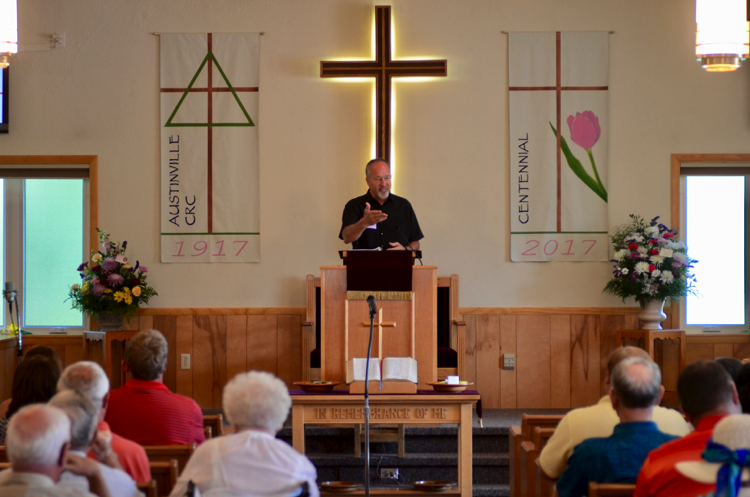 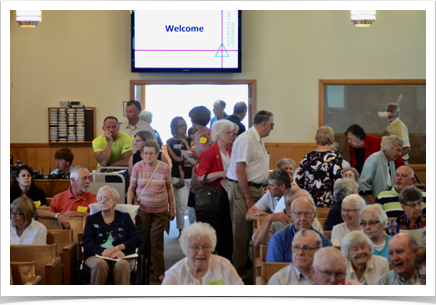 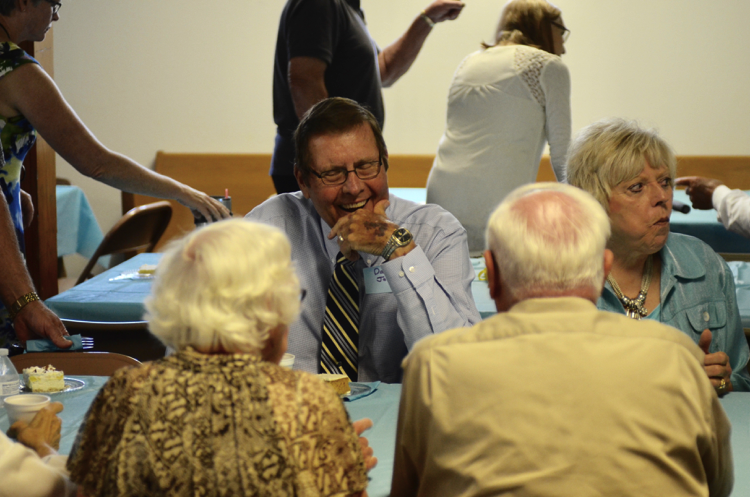 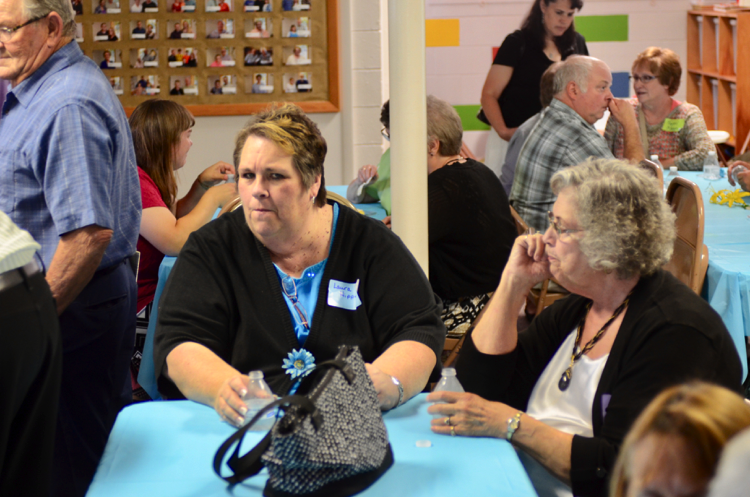 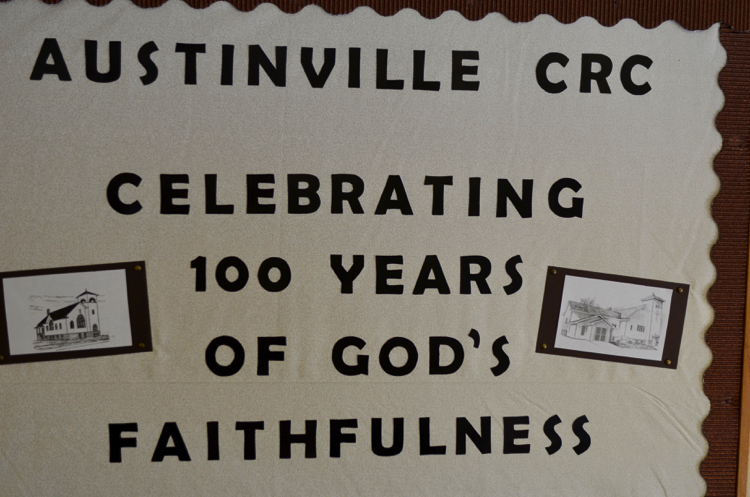 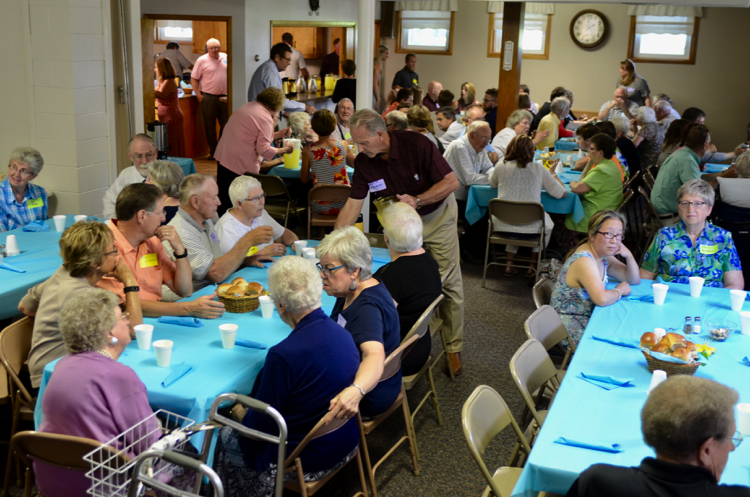 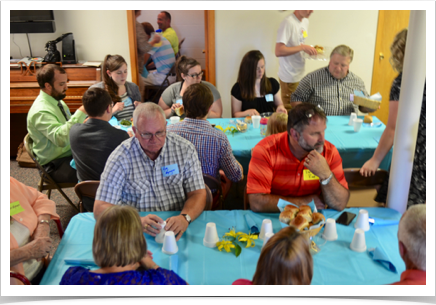 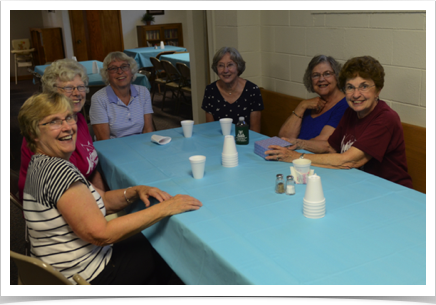 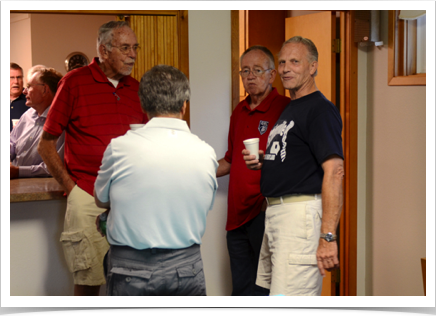 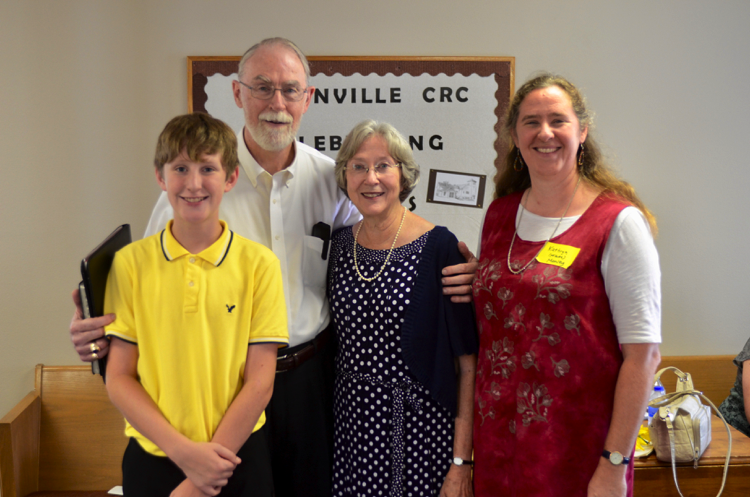 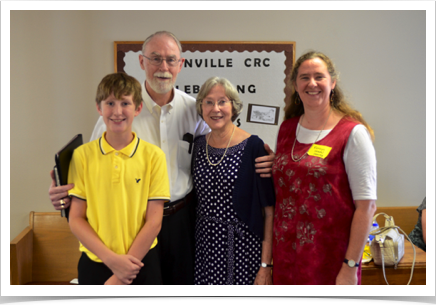 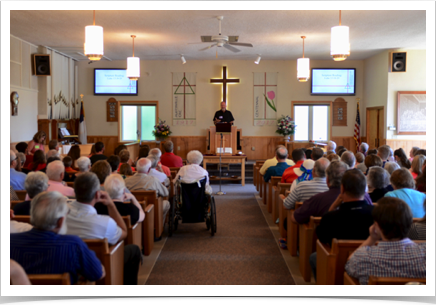 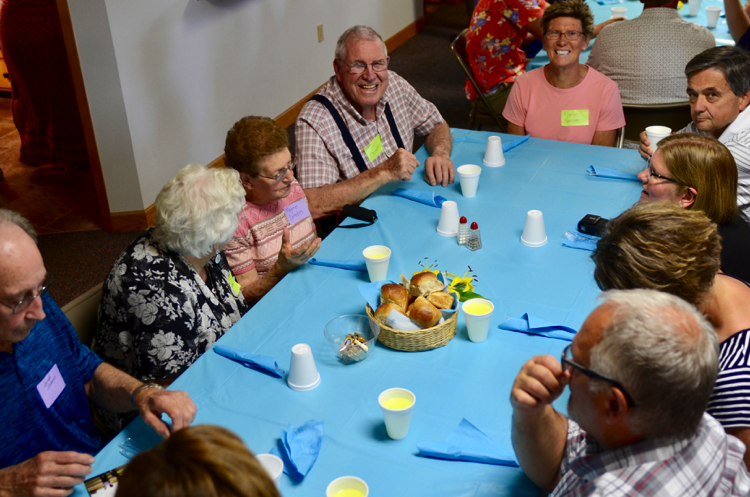 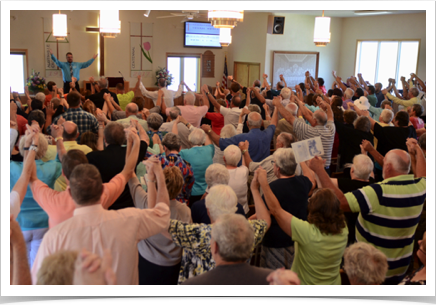 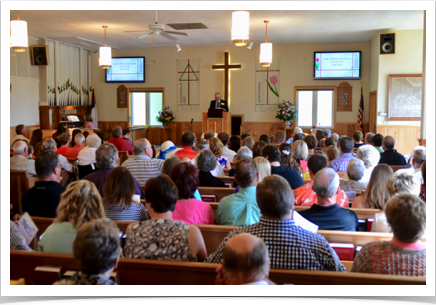 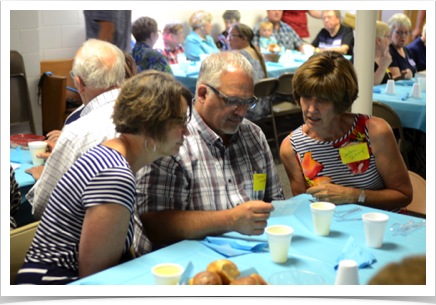 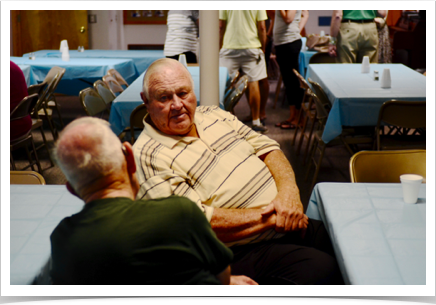 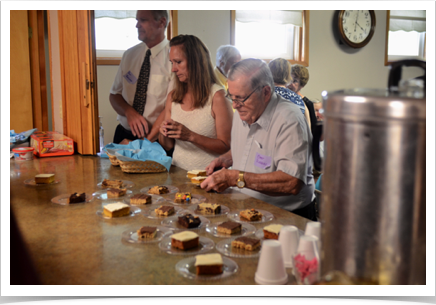 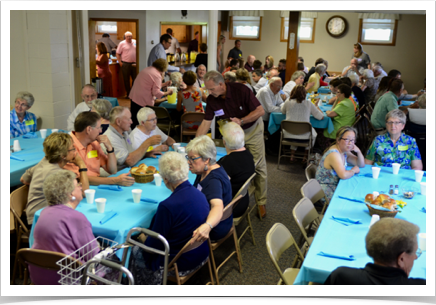 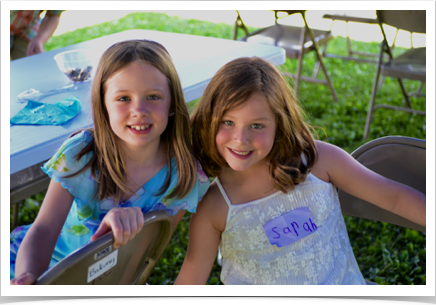 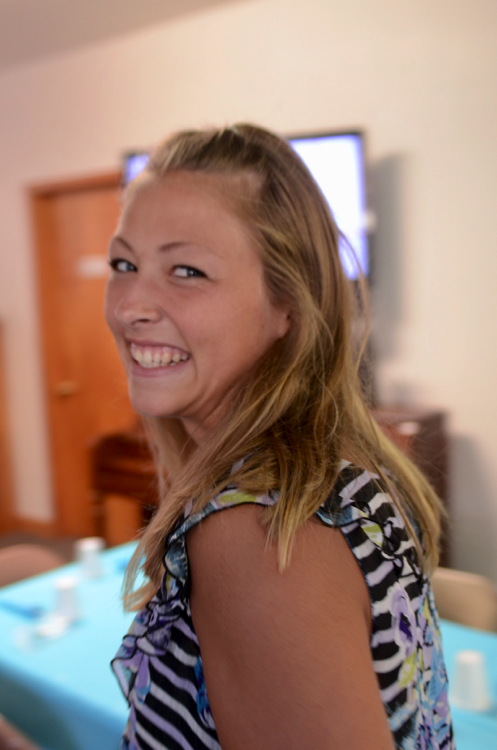 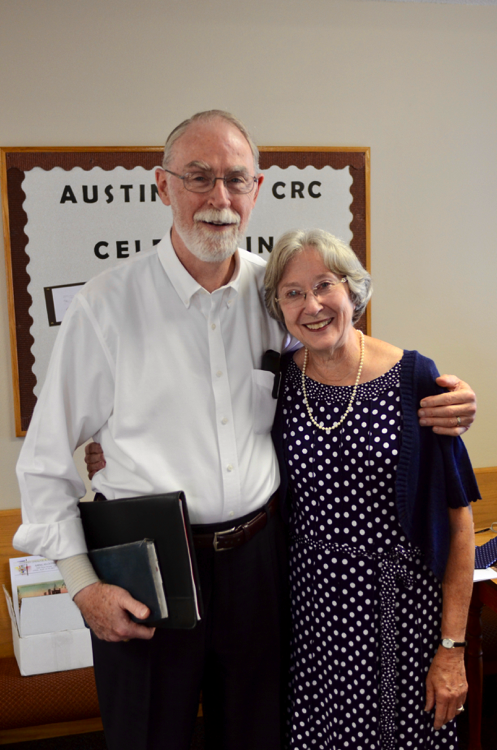 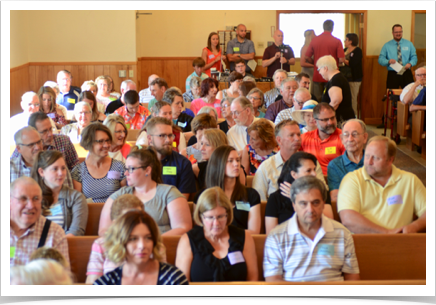 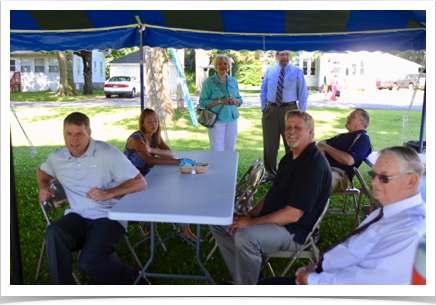 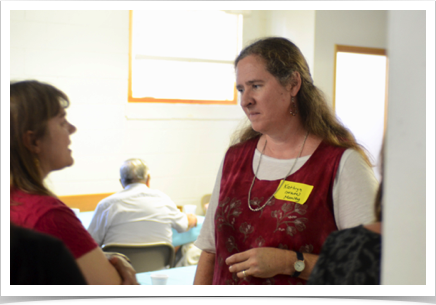 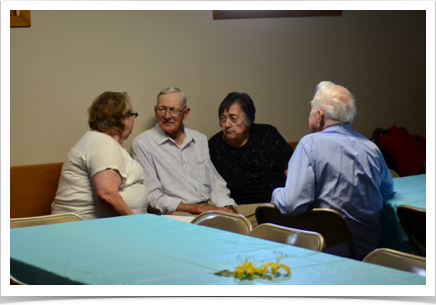 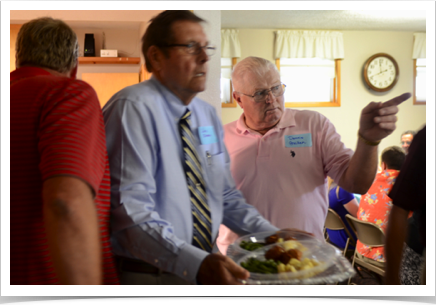 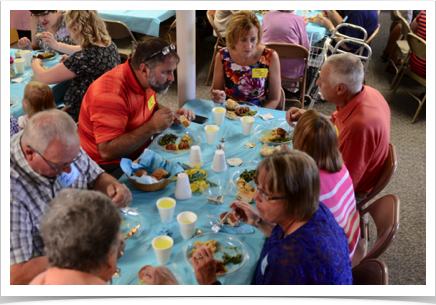 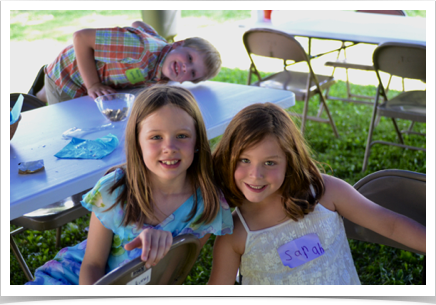 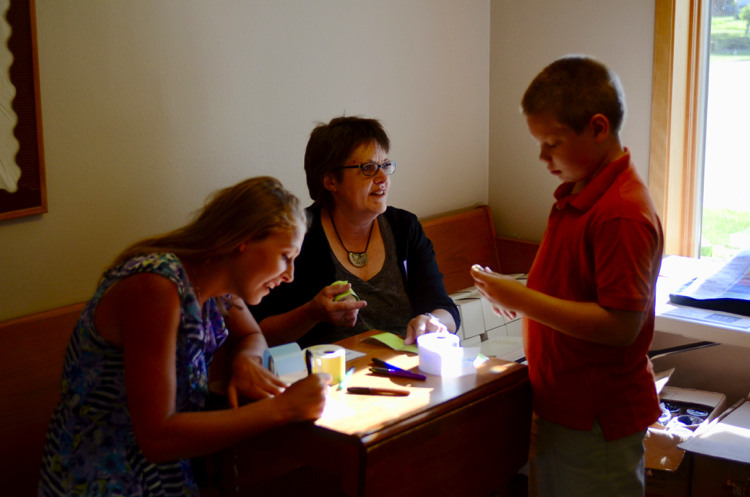 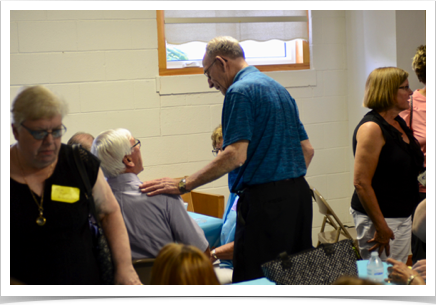 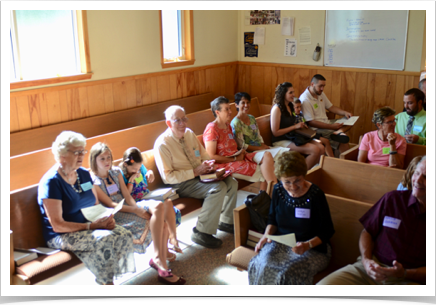 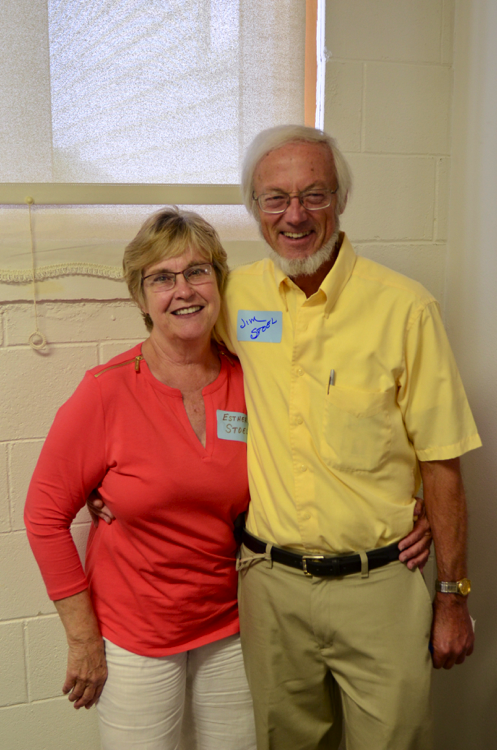 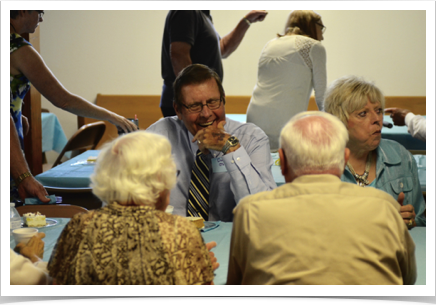 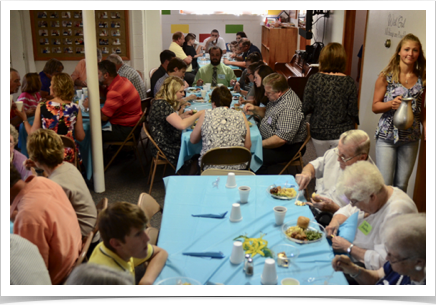 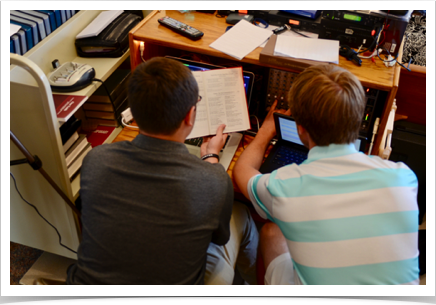 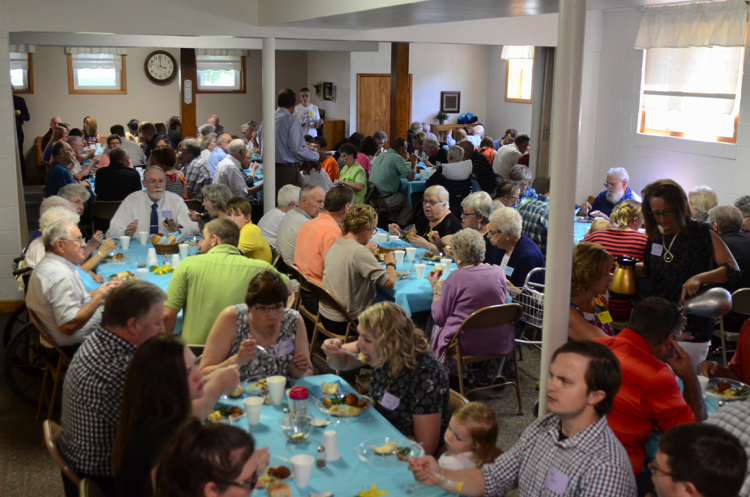 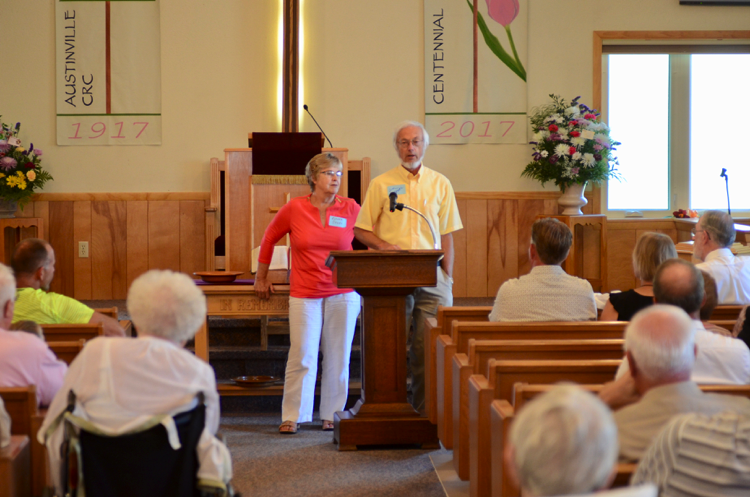 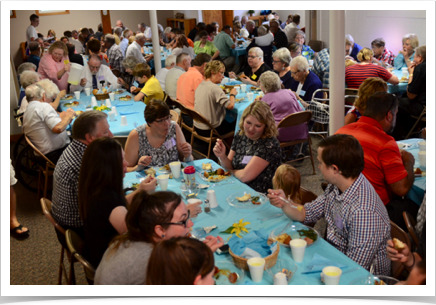 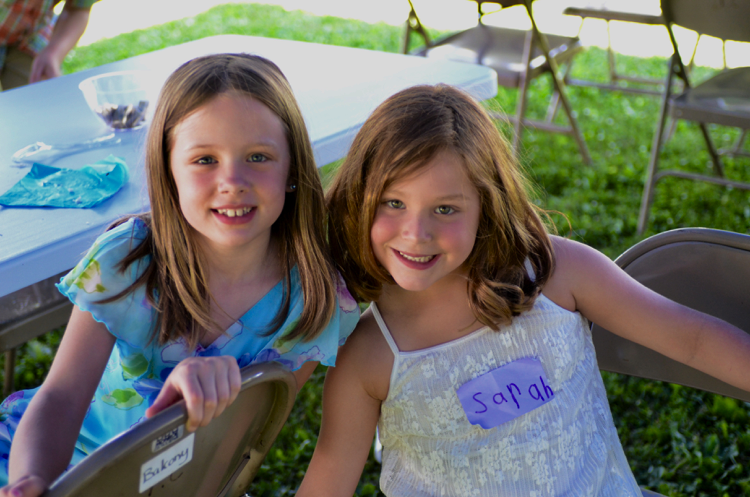 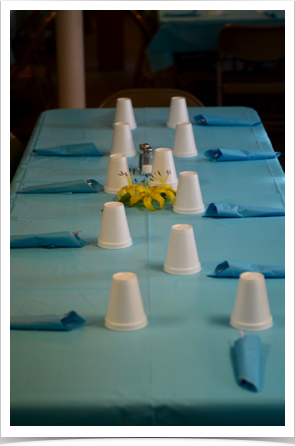 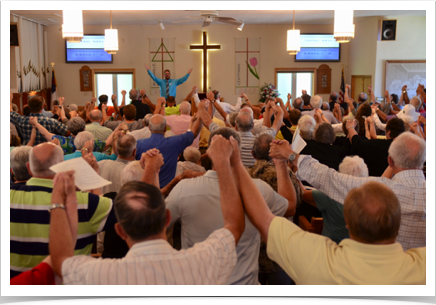 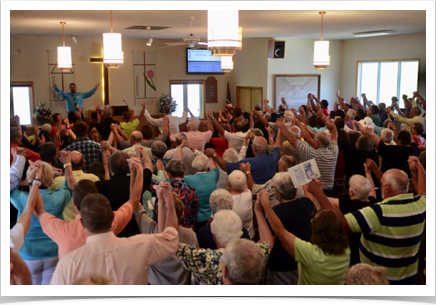 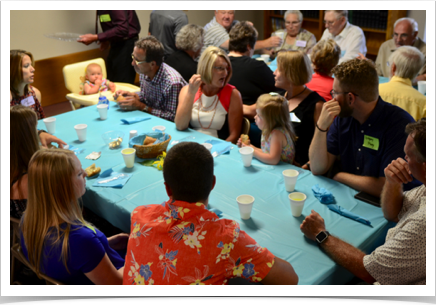 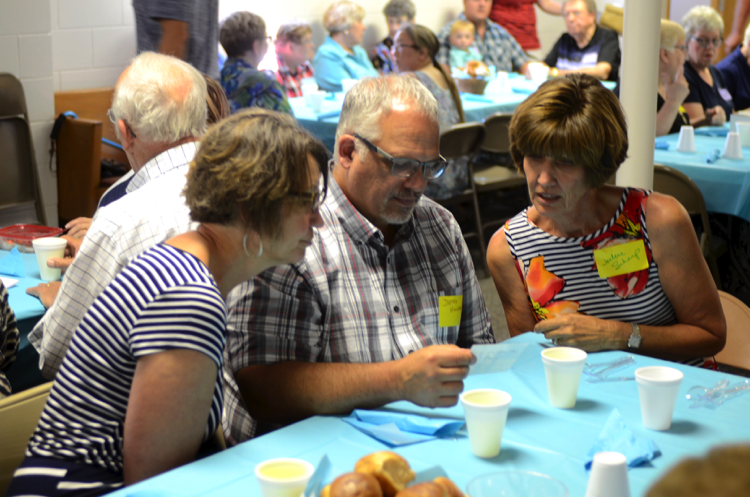 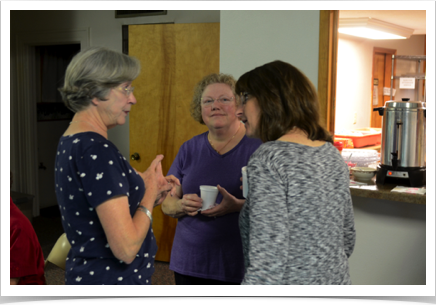 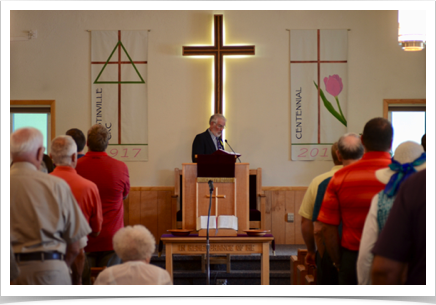 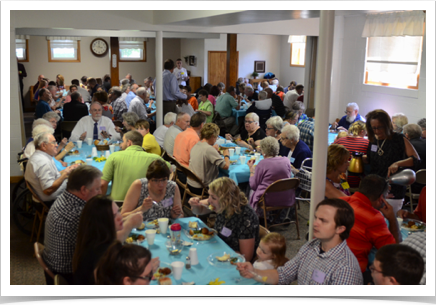 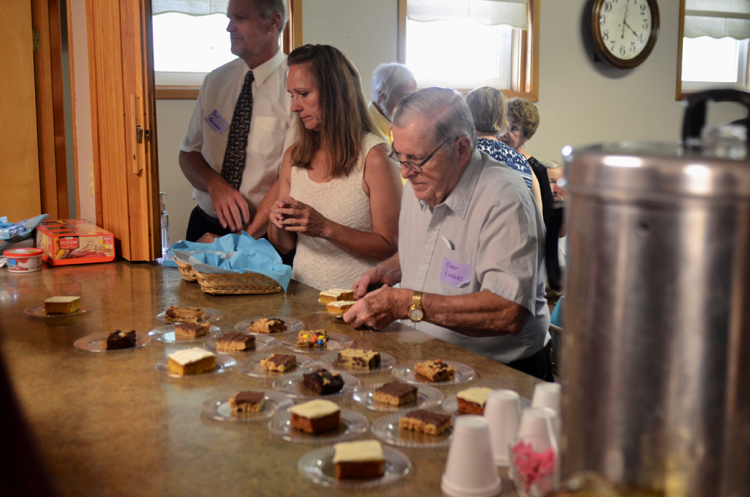 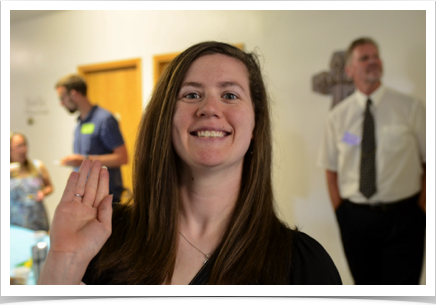 Photos from the Centennial Celebration at the Church held on July 8 & 9, 2017. 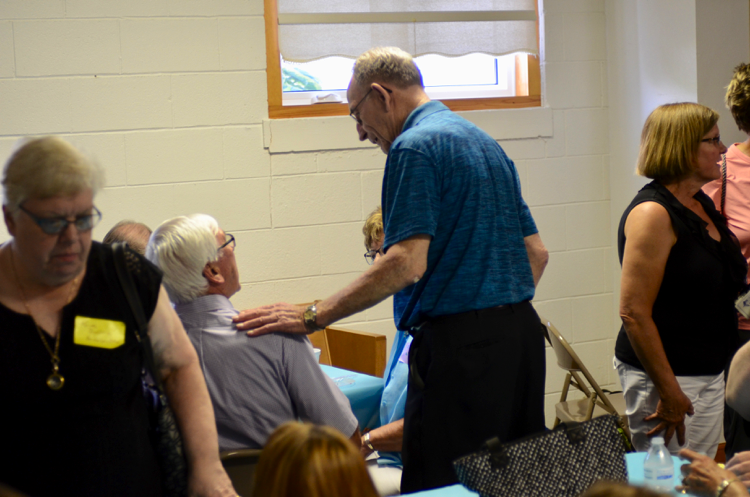 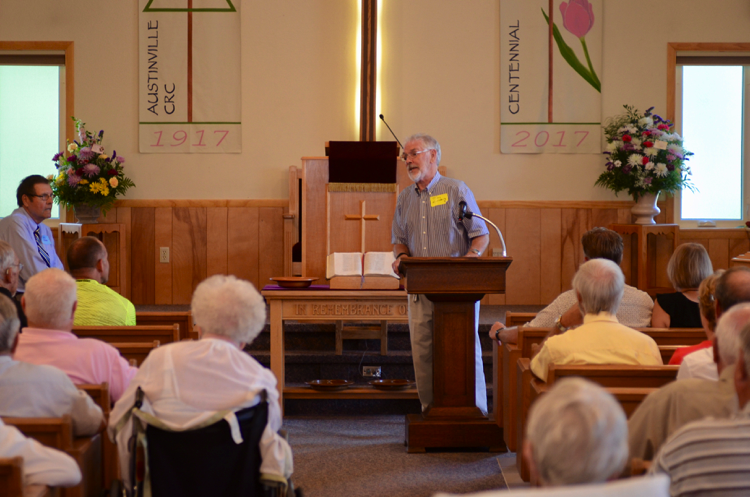 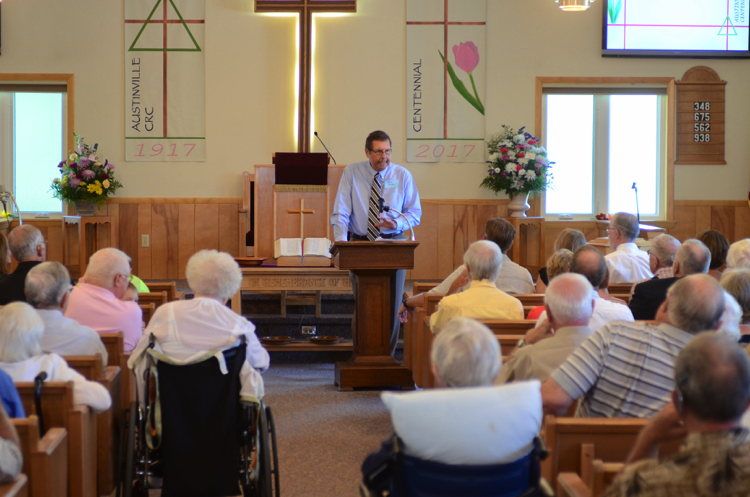 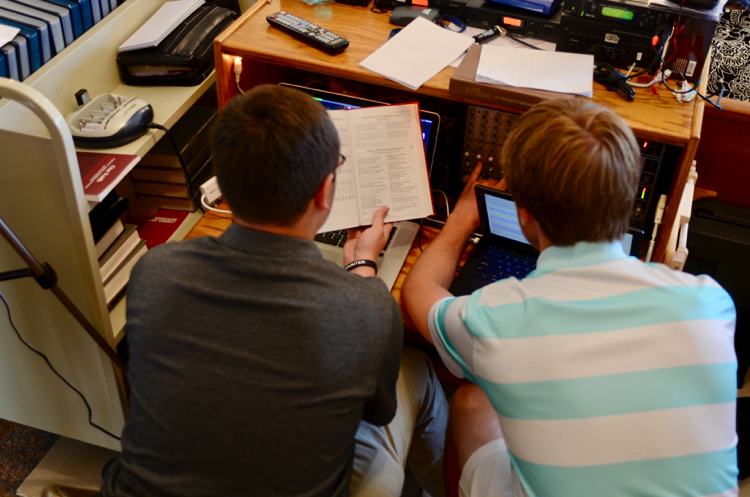 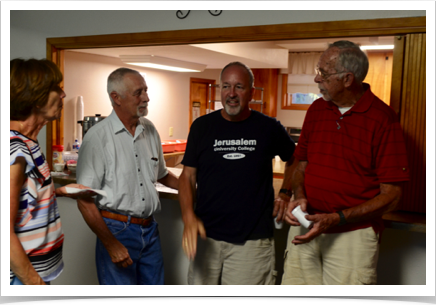 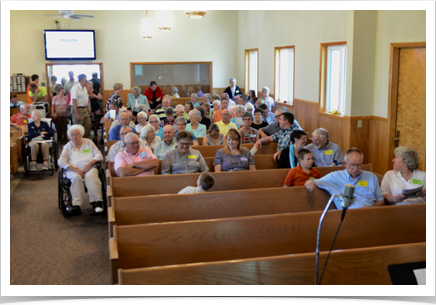 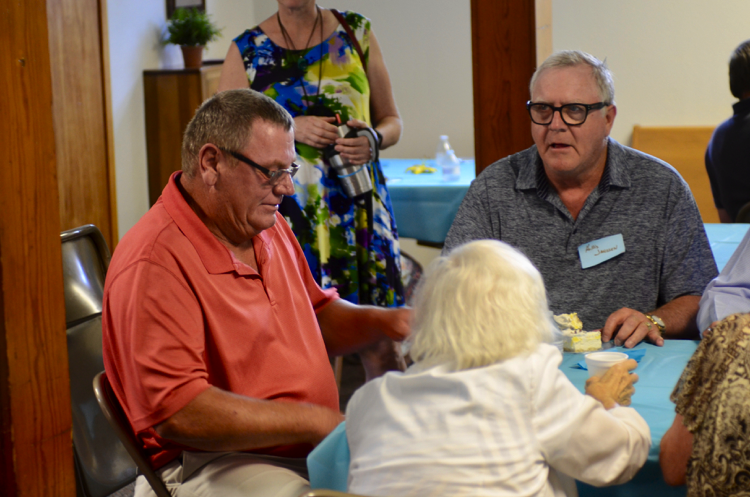 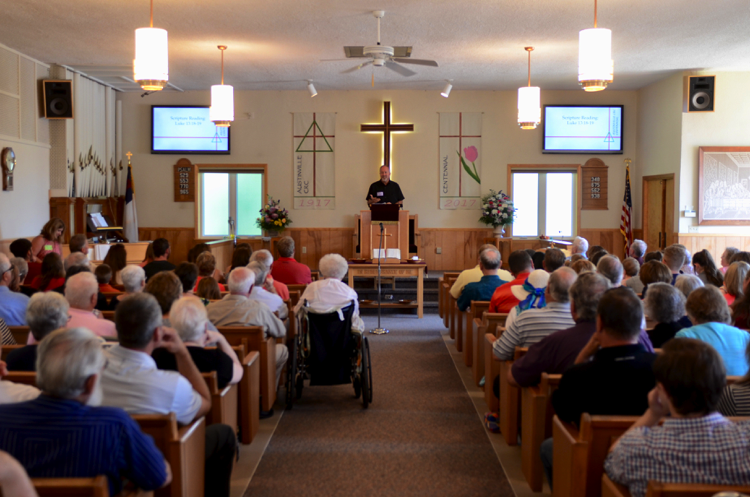 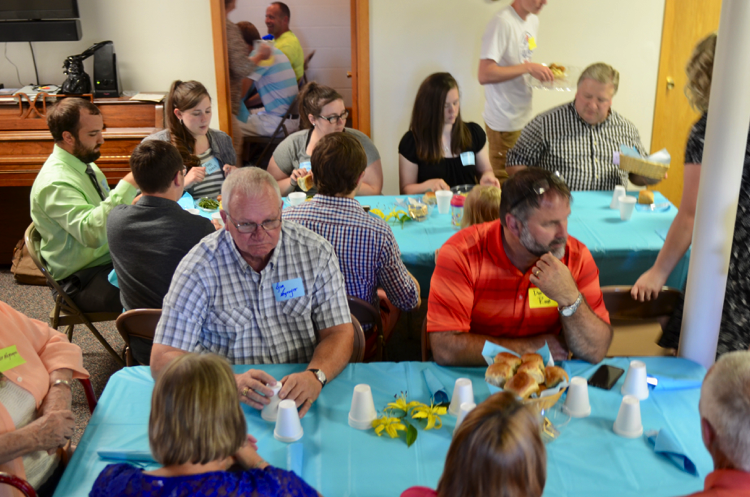 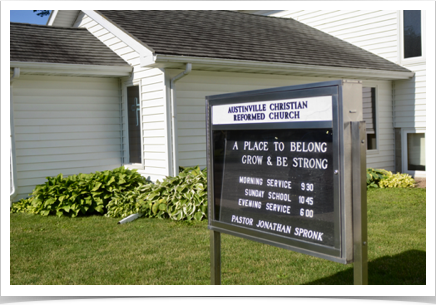 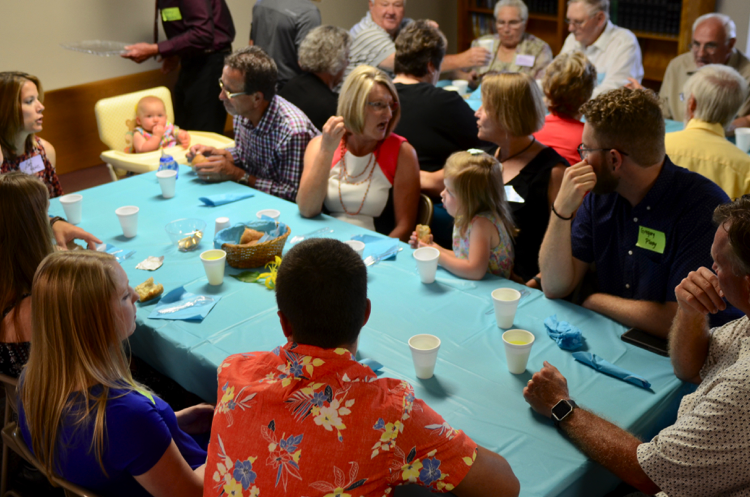 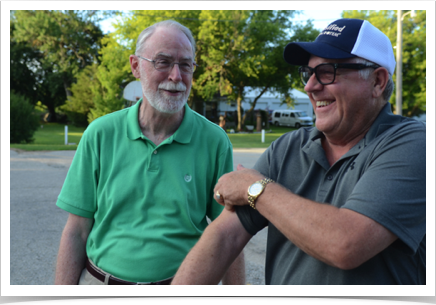 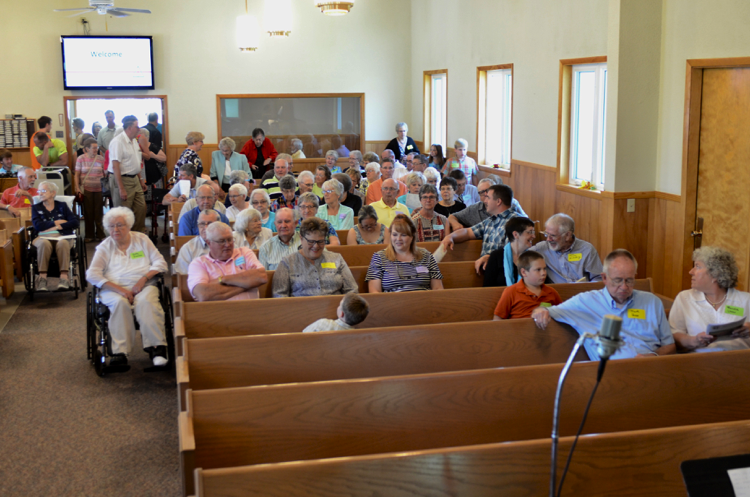 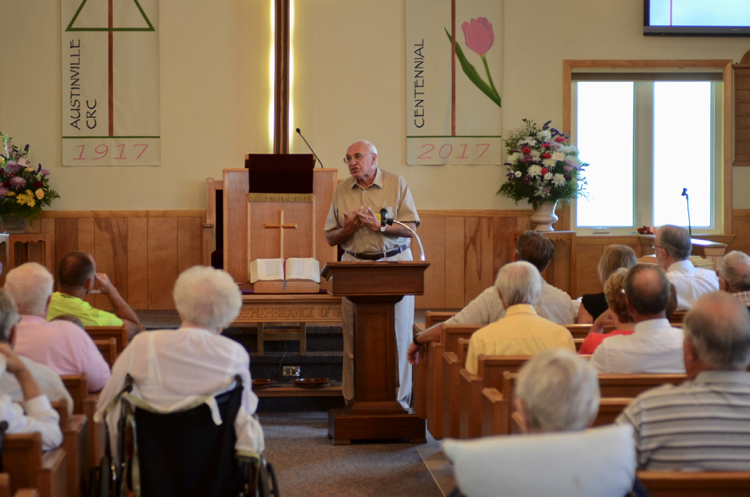 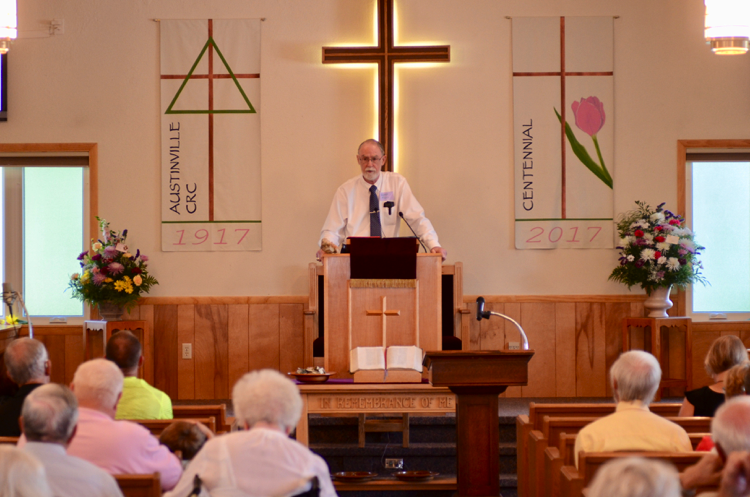 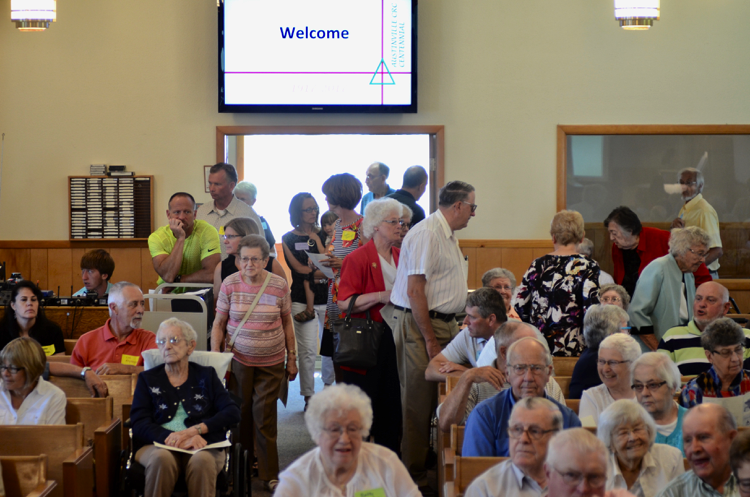 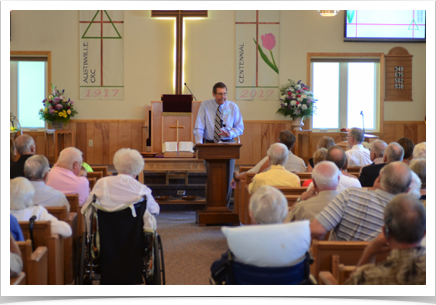 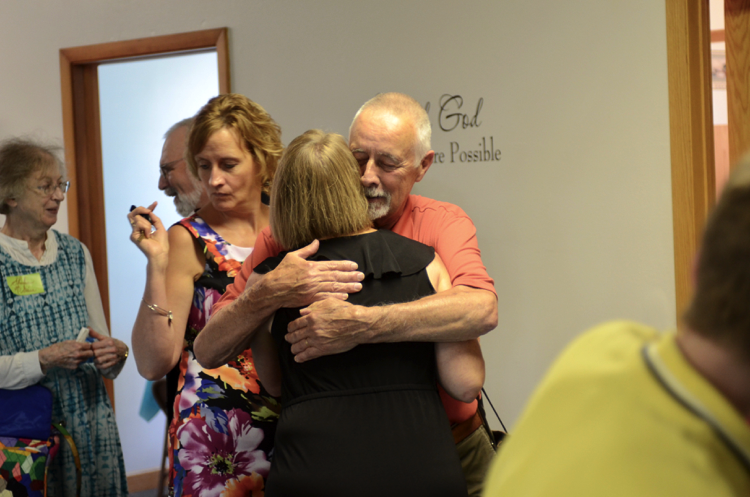 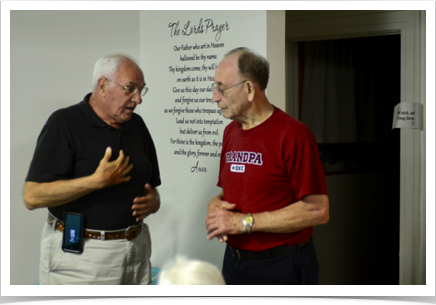 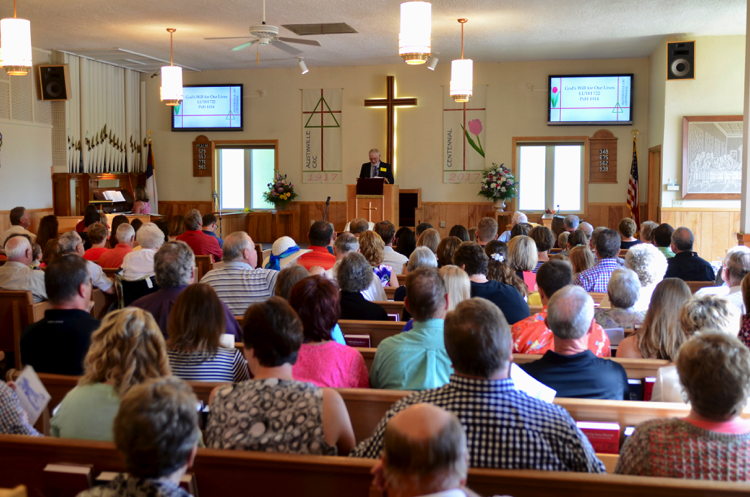 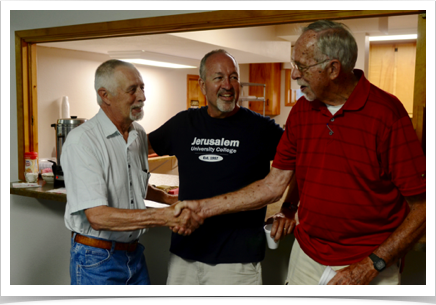 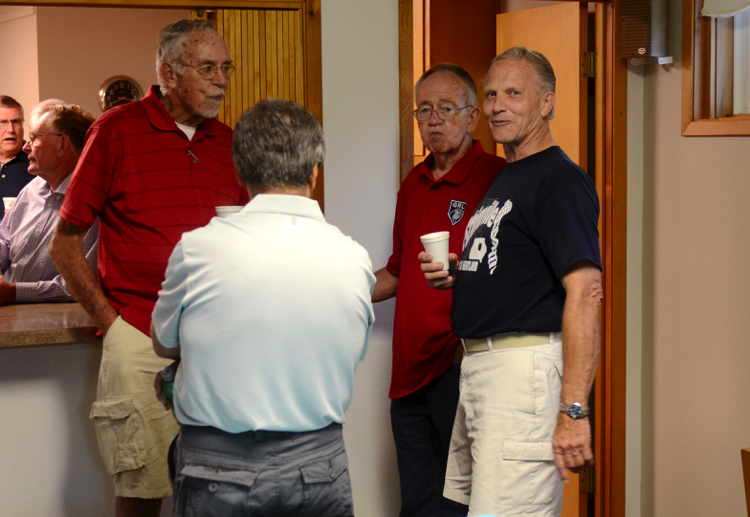 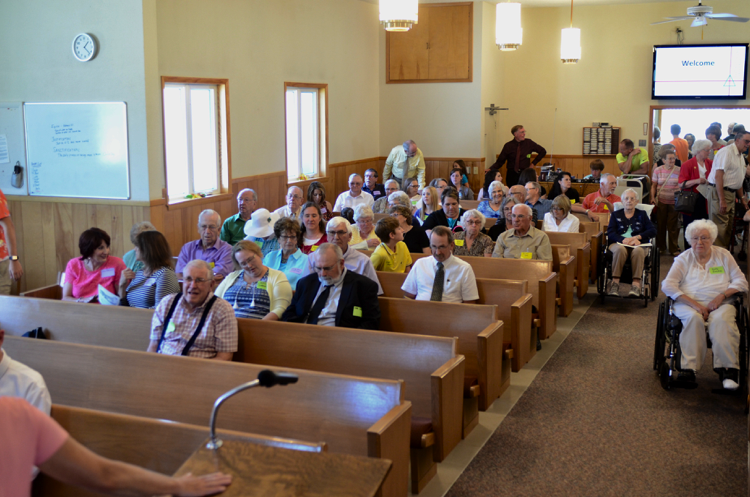 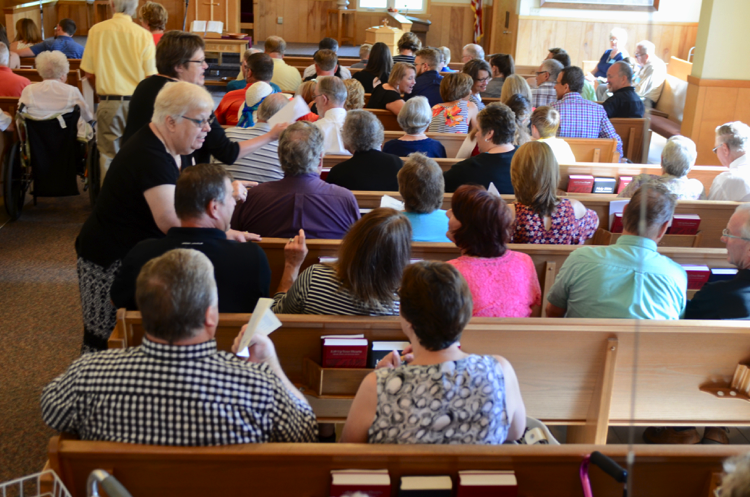 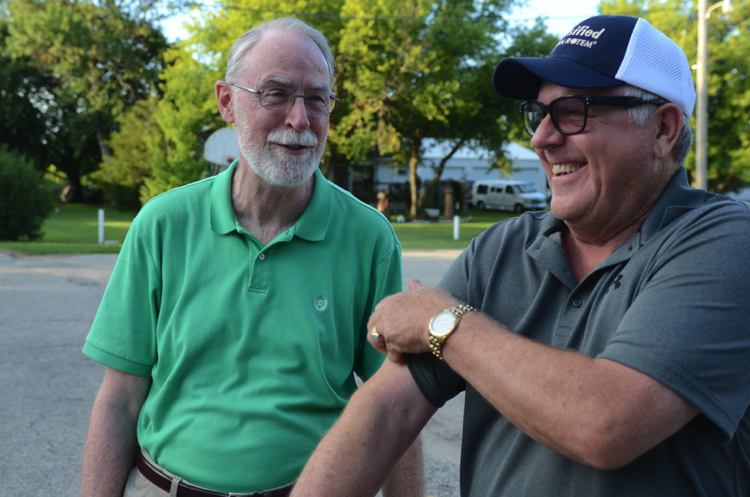 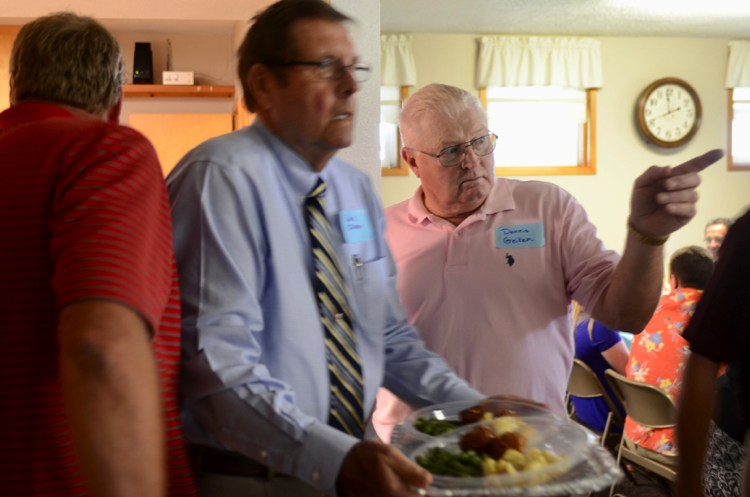 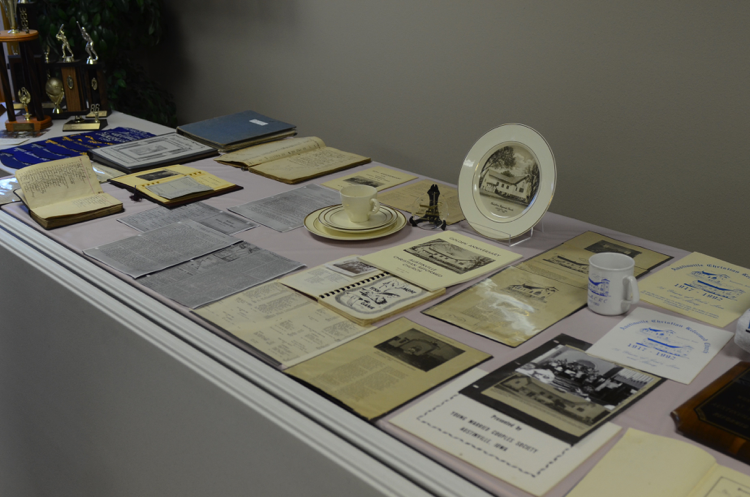 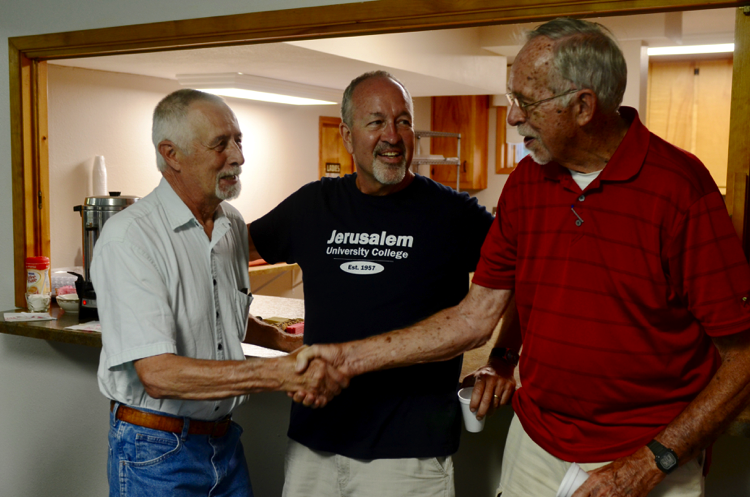 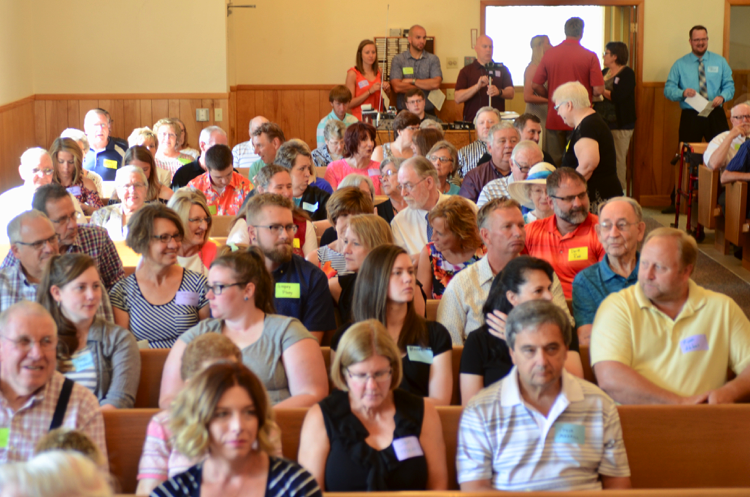 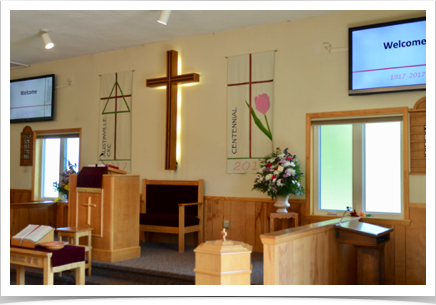 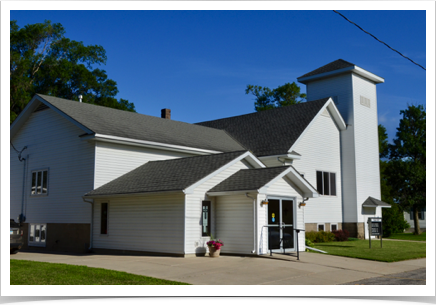 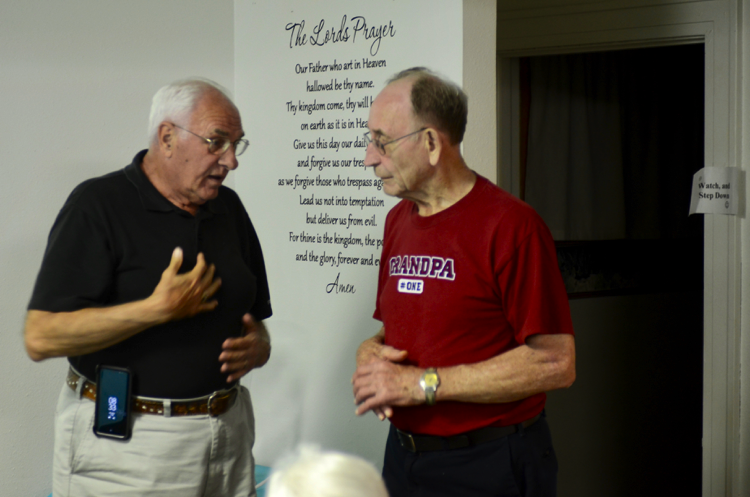 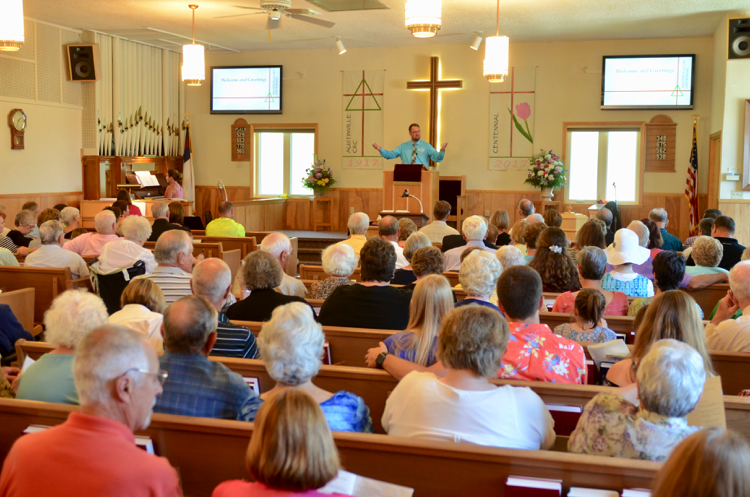 Highlights were visits from sons of the church Pastor Aldon Schaap and Pastor Timothy Limburg as well as former pastors George McGuire, Jim Stoel and former interim pastor Frank Pott. 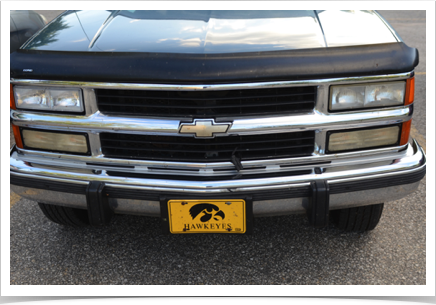 A true Hawkeye living in Alabama! 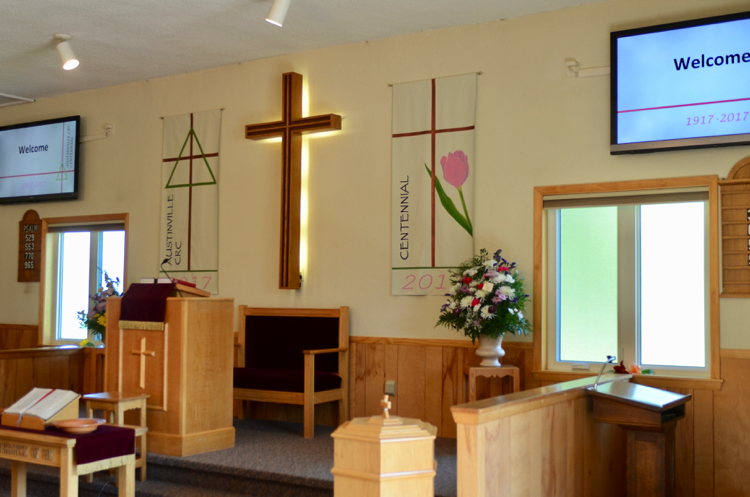 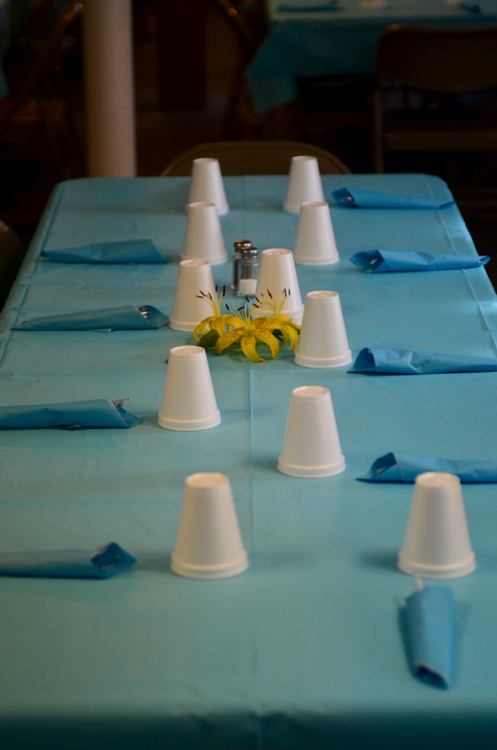 The Church is looking good for her celebration! 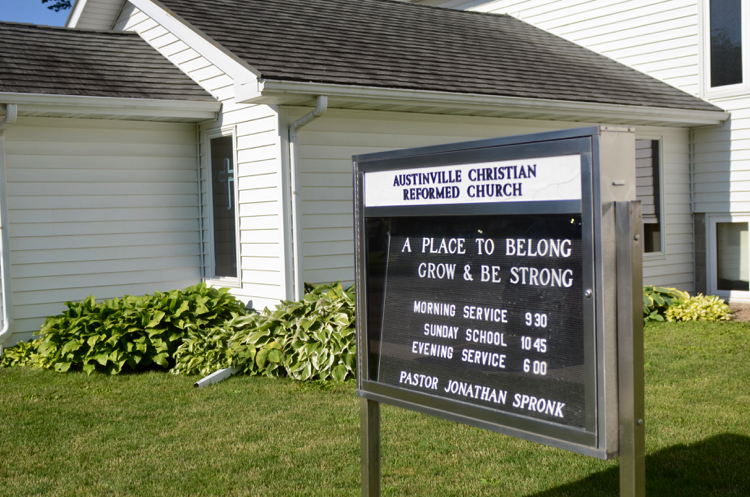 A Place to Belong, Grow and Be Strong! 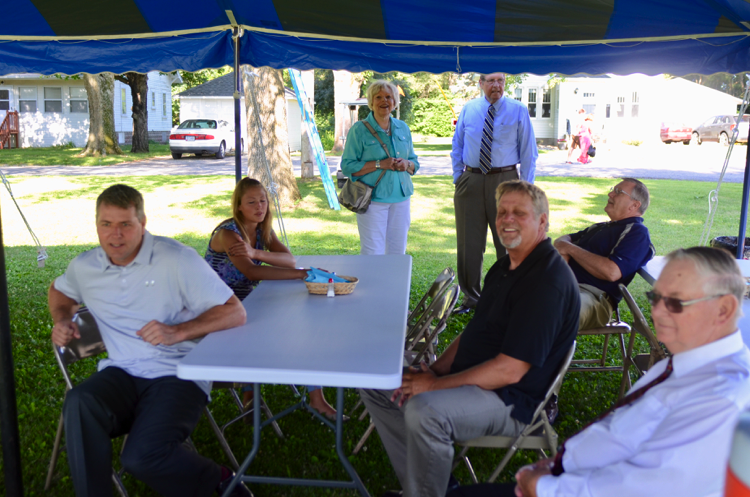 Enjoying the shade of the tent! 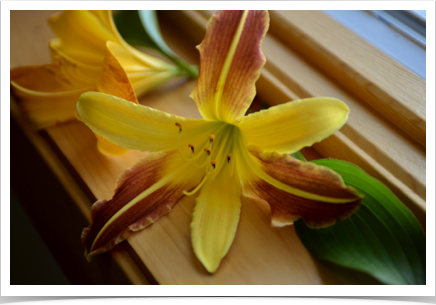 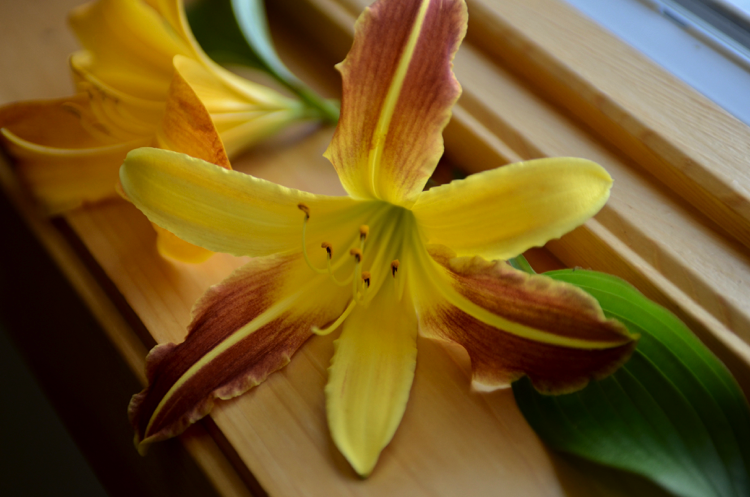 Thanks Phyllis, for the flowers! 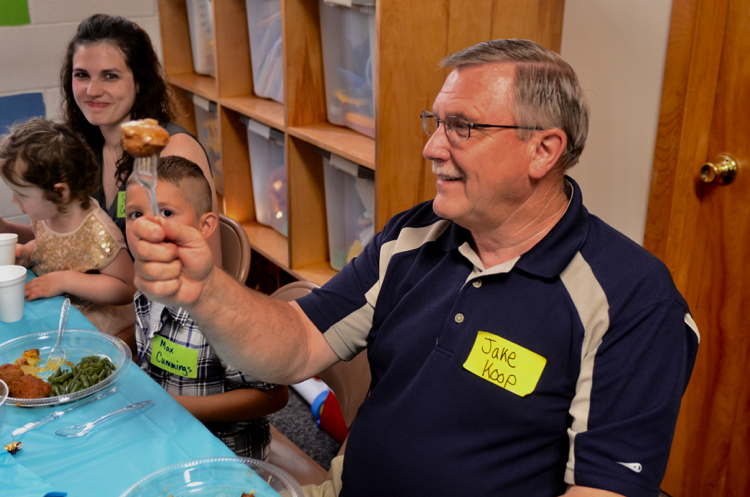 That's quite a ham ball Jake! 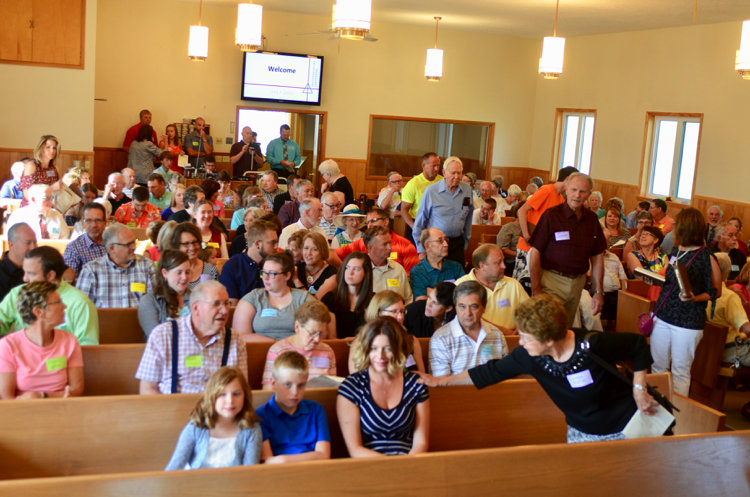 but enough room for everyone! 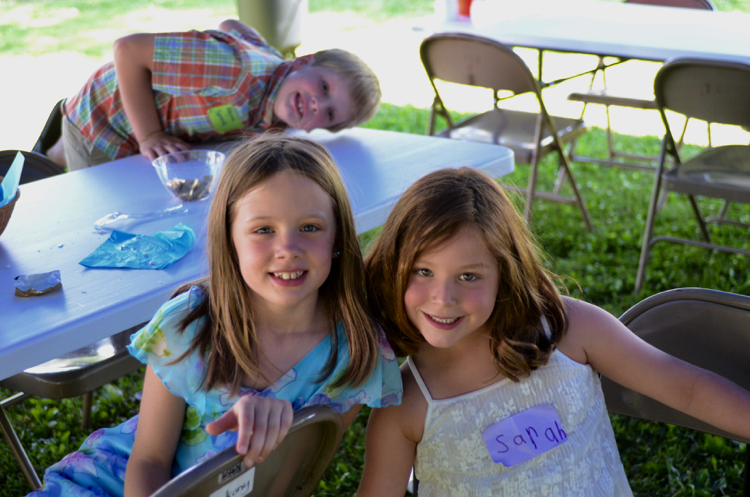 getting photo bombed by Ben! 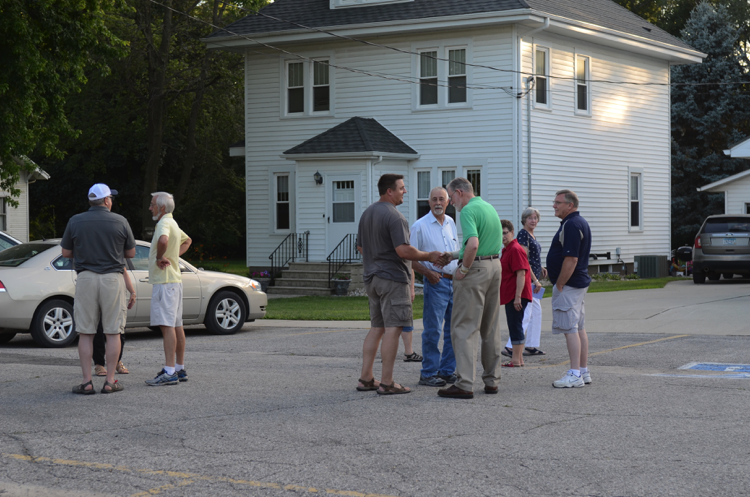 Lots of noise from the fellowship! 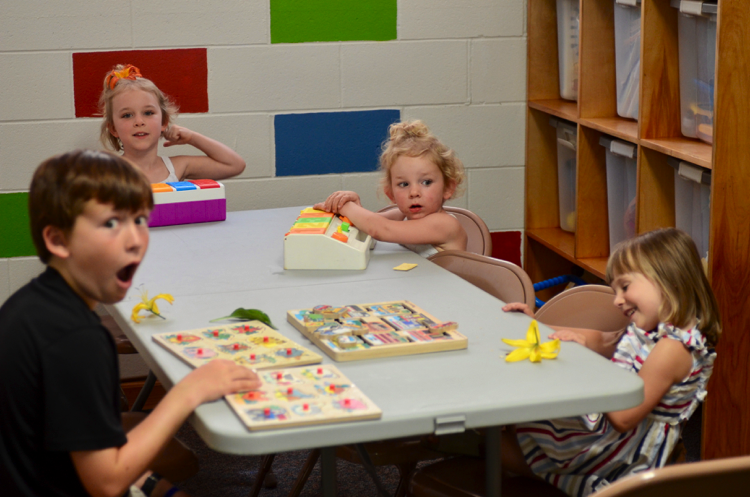 Jace helping out in the nursery. 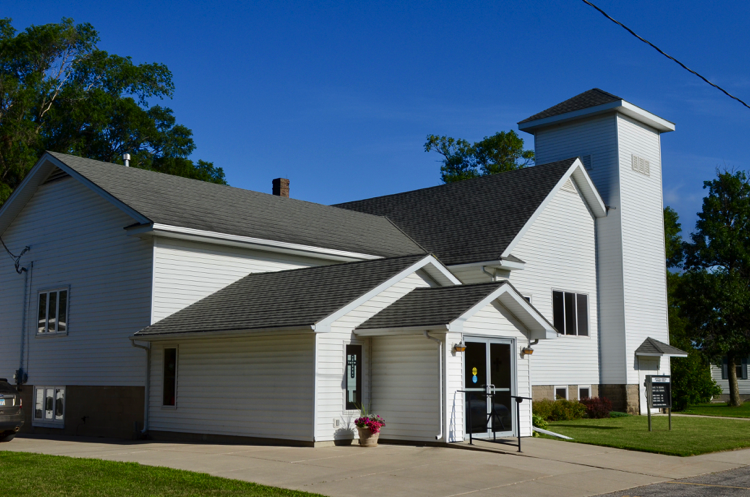 family that grew up here. 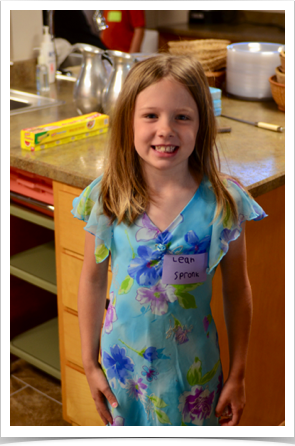 Gracie! 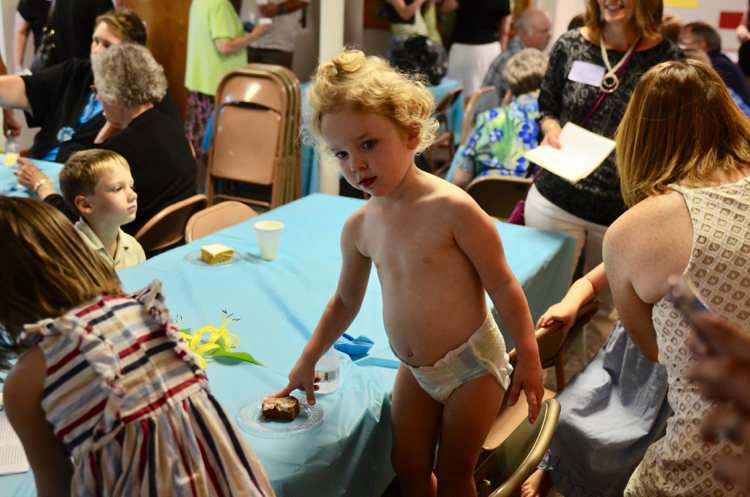 Where are your clothes?? 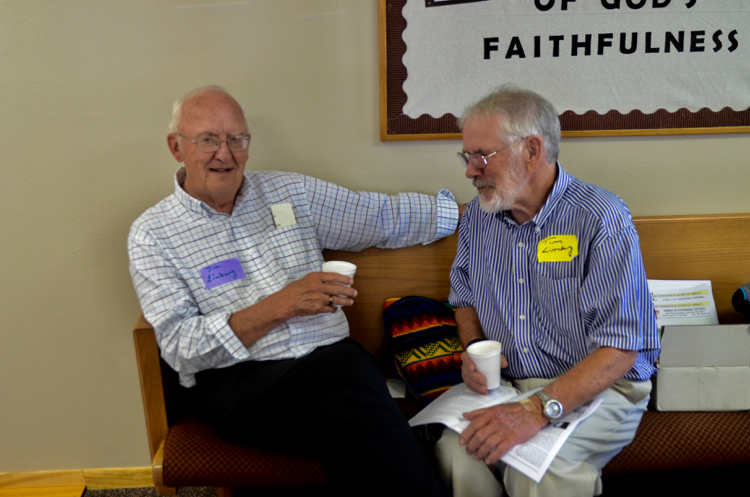 Pastor Tom visits with Pastor Jon. 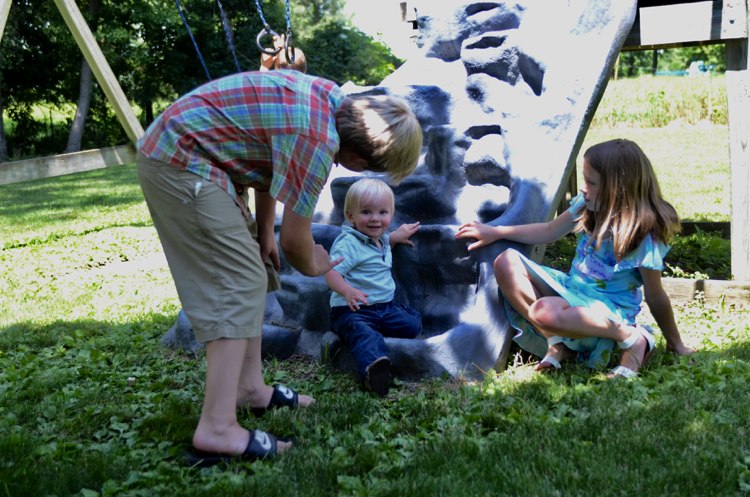 's not too sure about this picture! 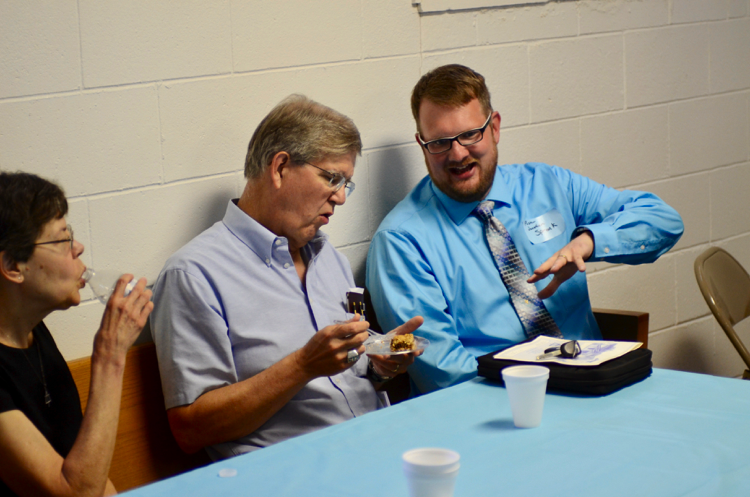 Jim visits with his mentor Arnold. 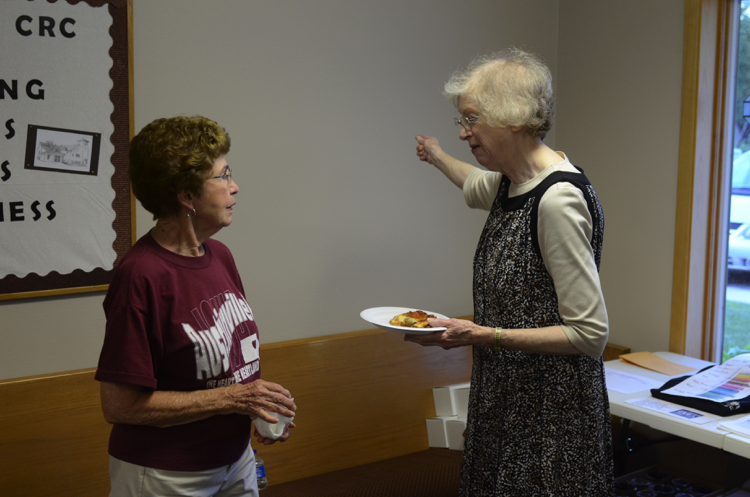 Elaine visits with Miss Myra. 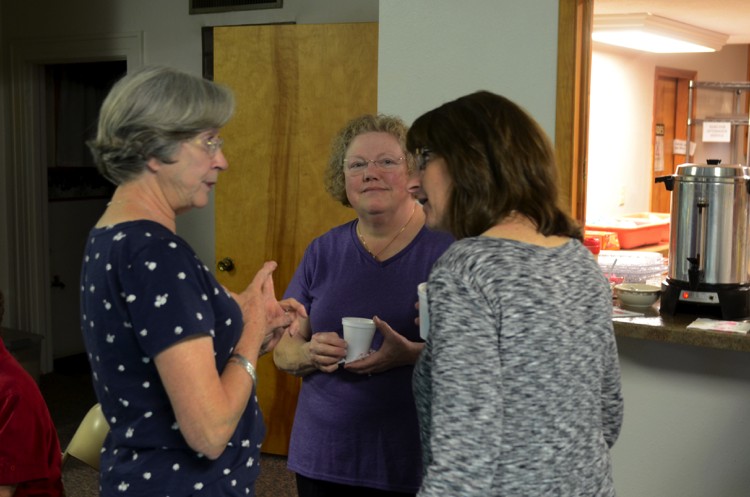 Elaine says goodbye to Myra. 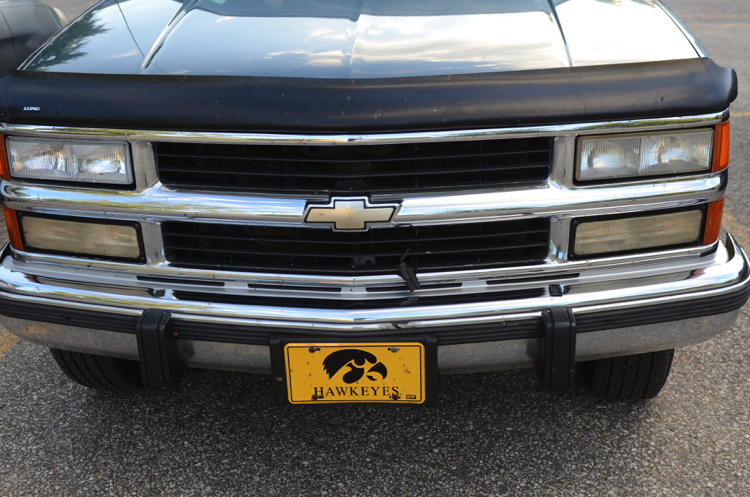 coming all the way from Indiana!